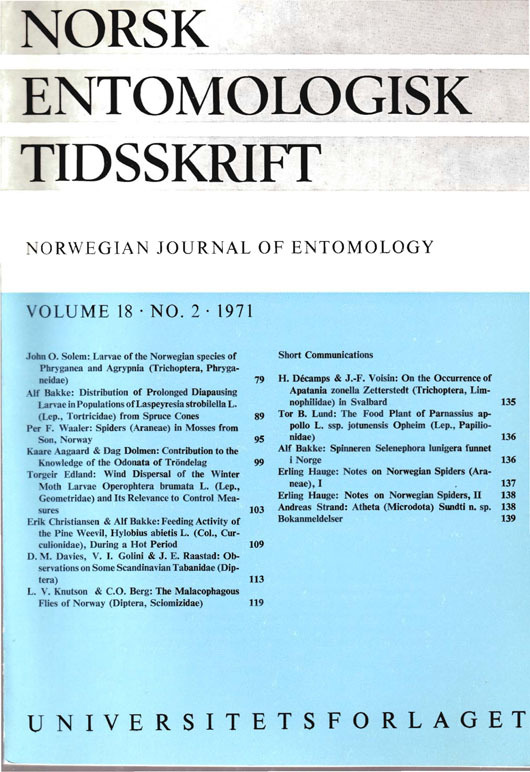 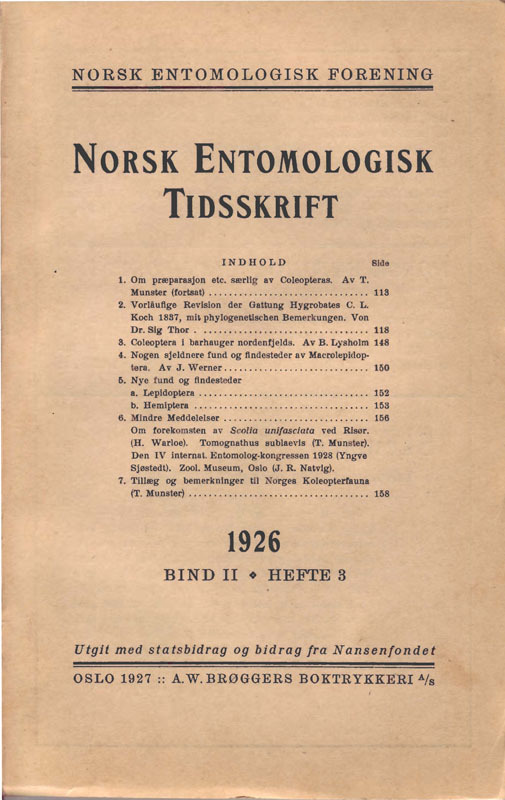 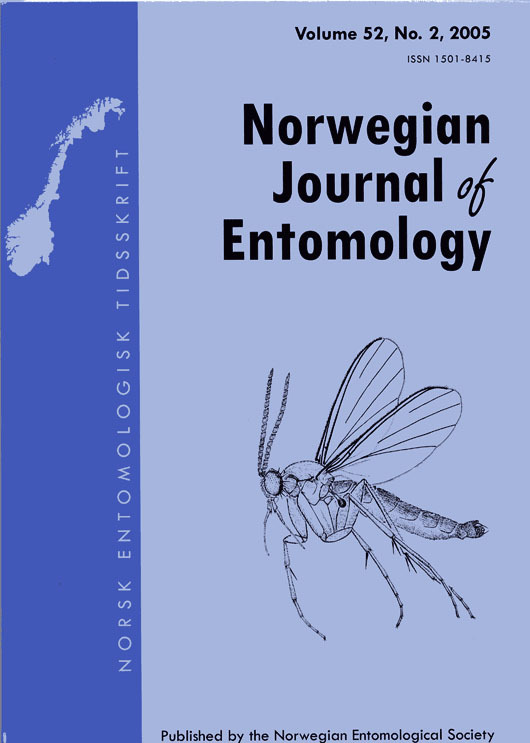 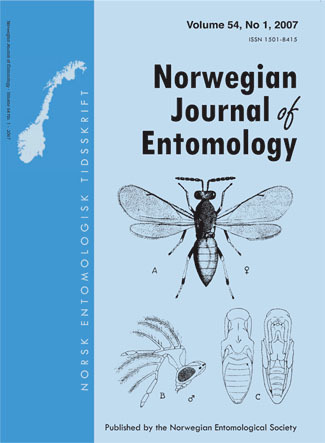 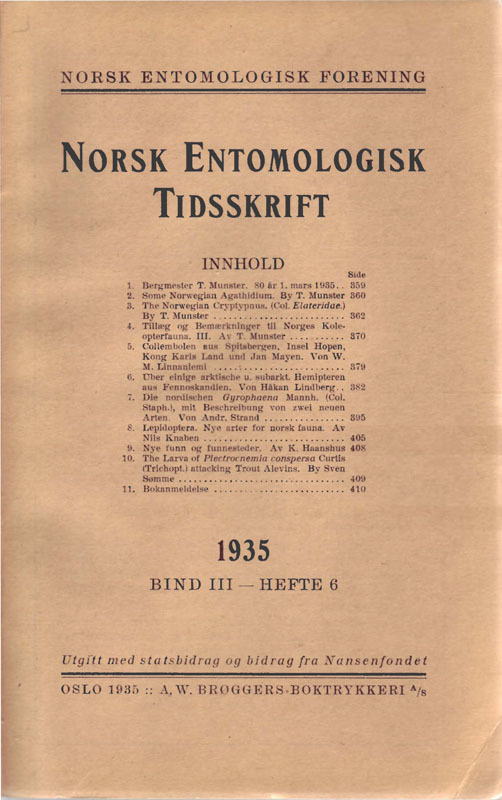 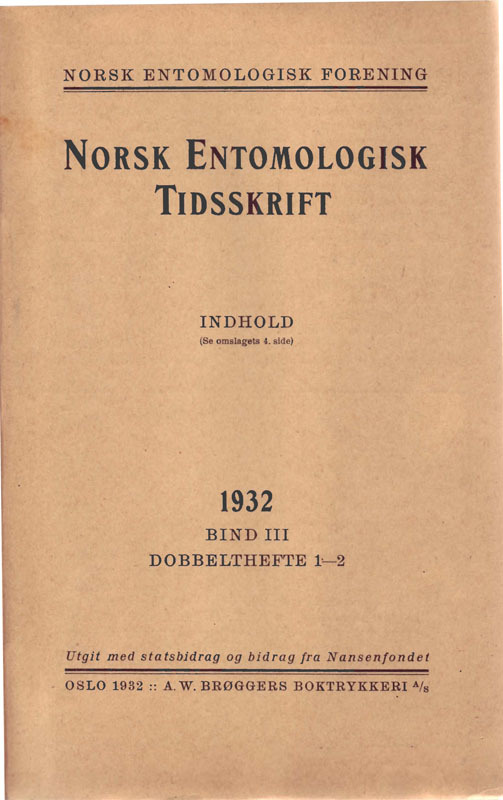 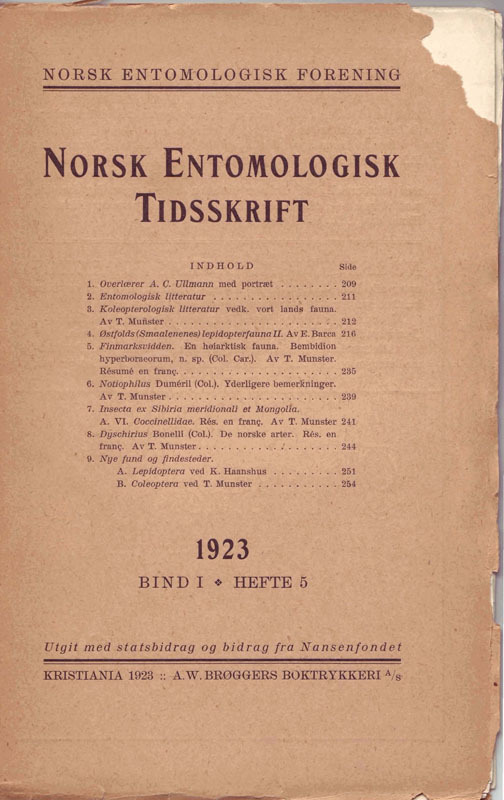 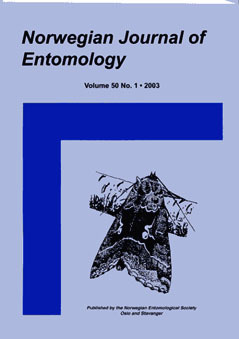 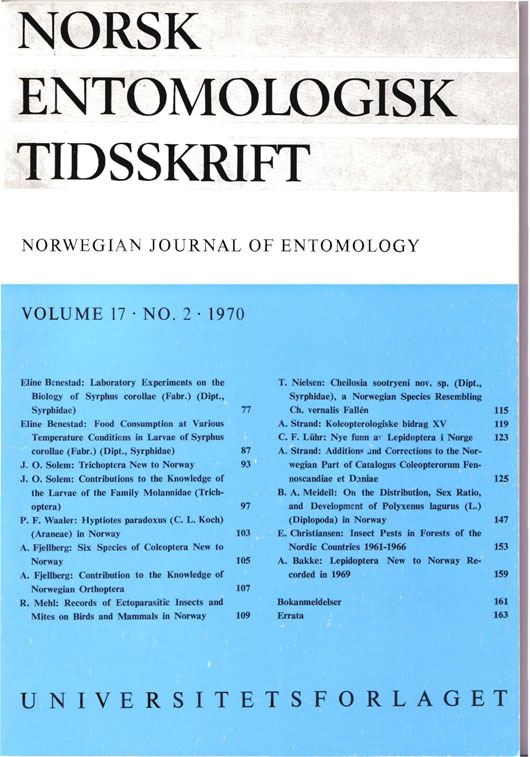 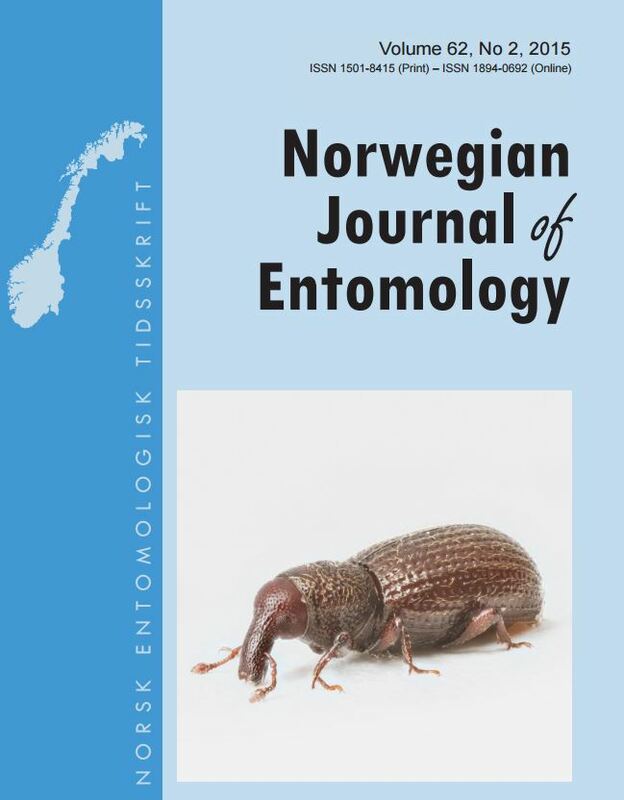 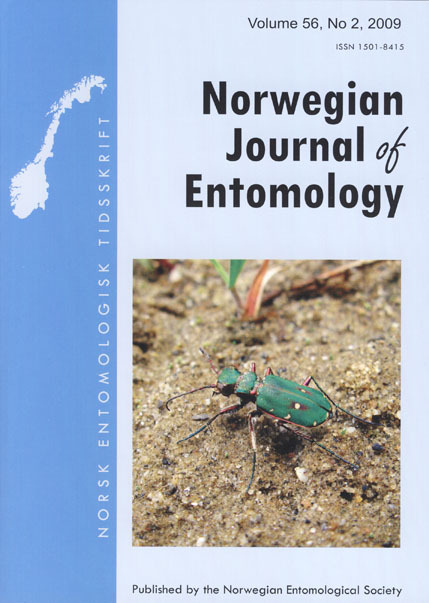 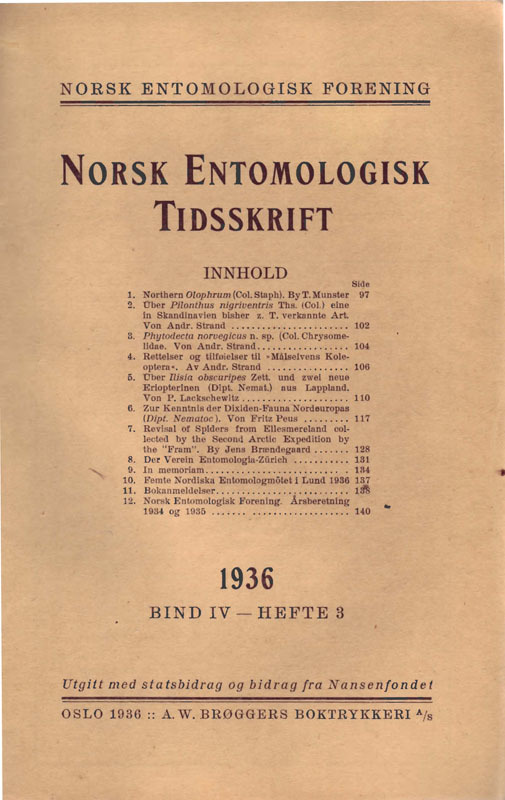 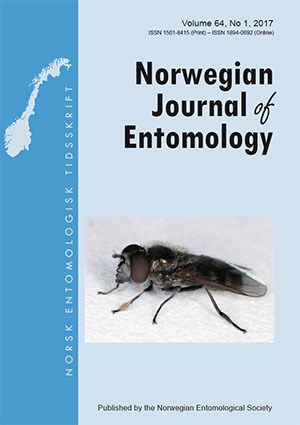 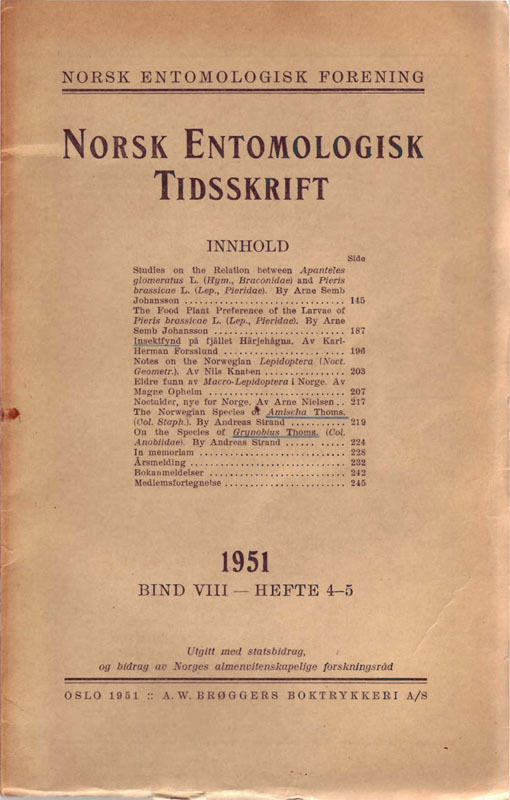 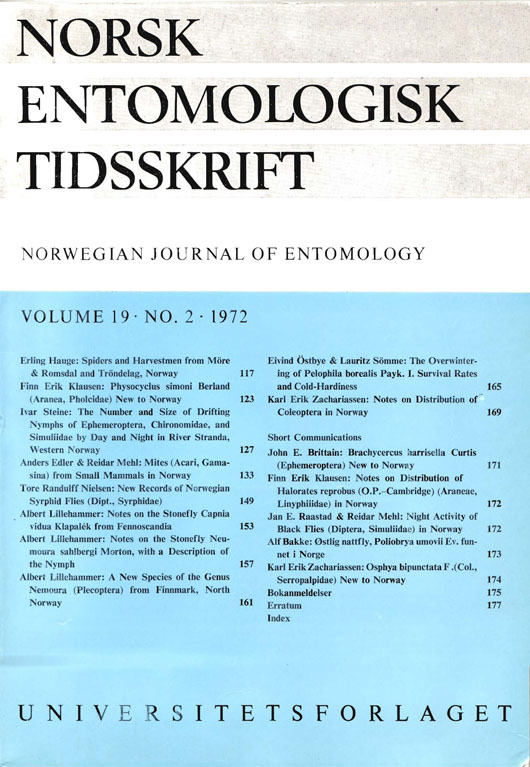 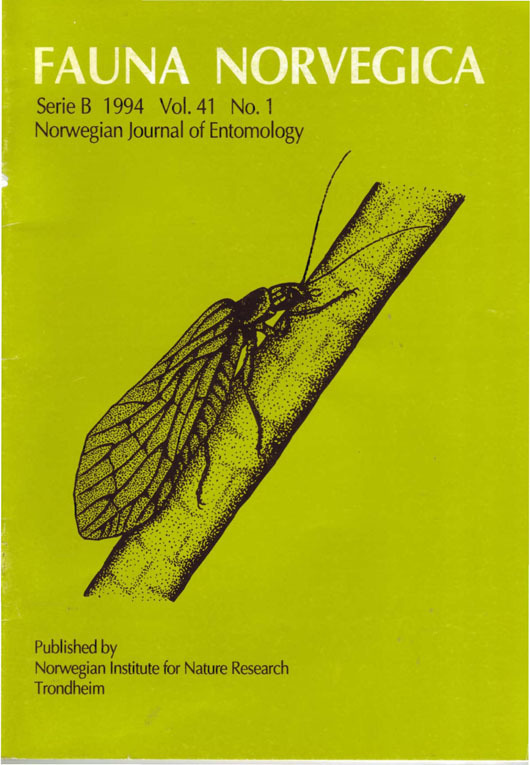 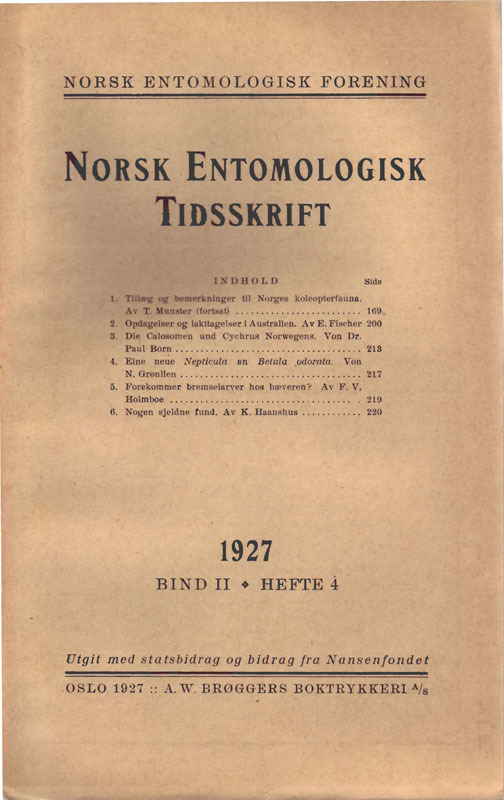 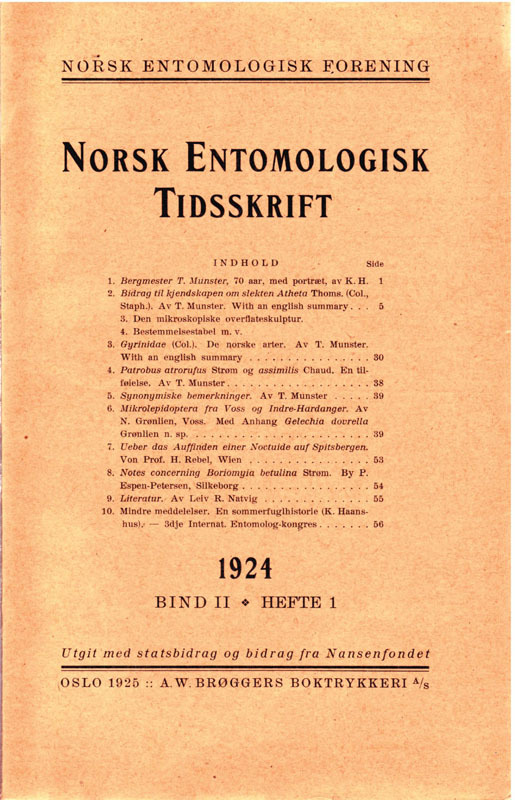 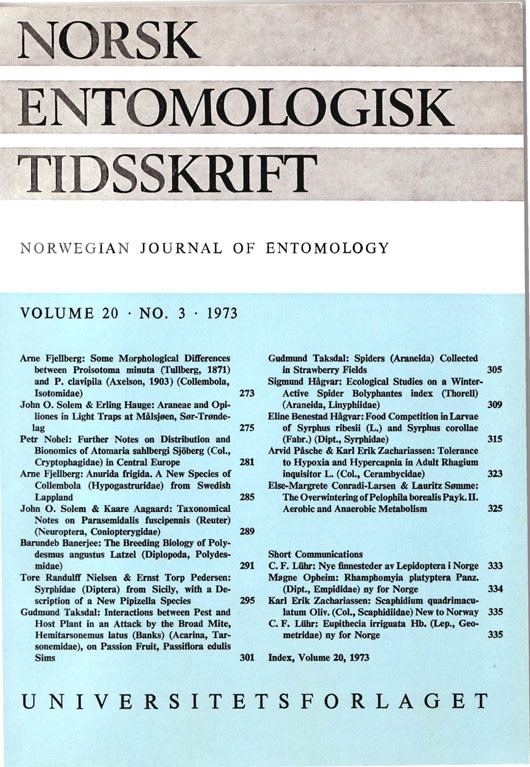 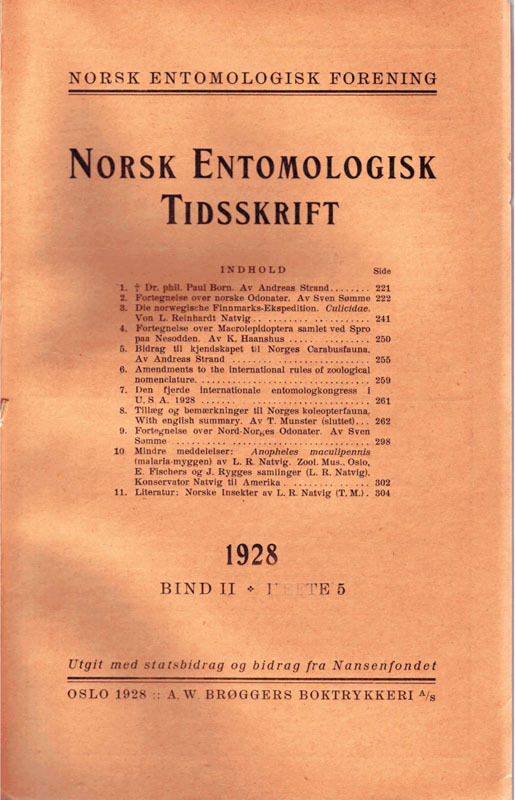 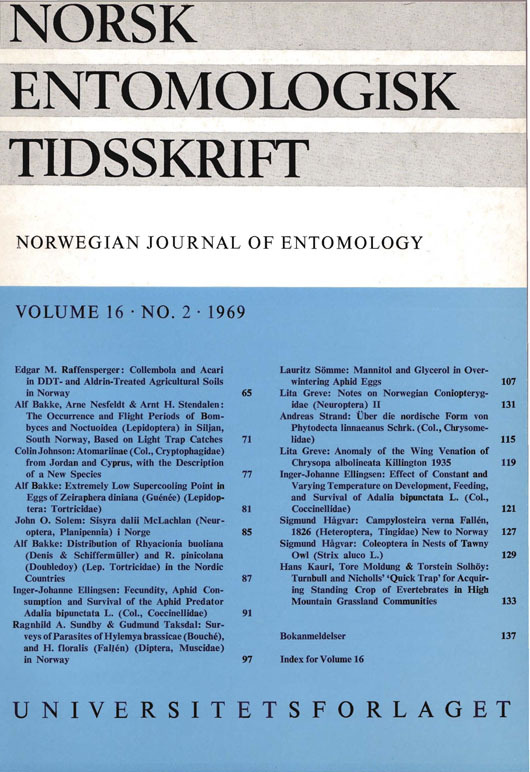 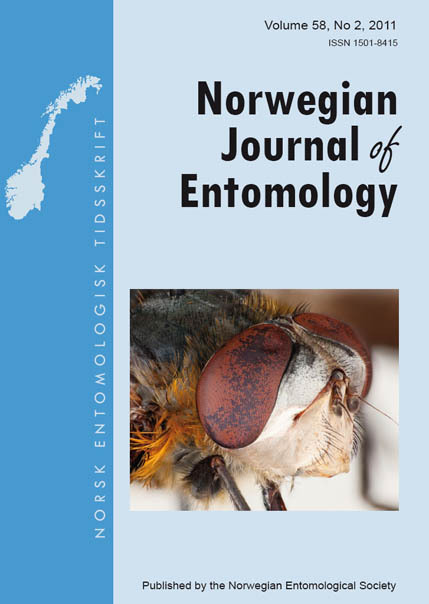 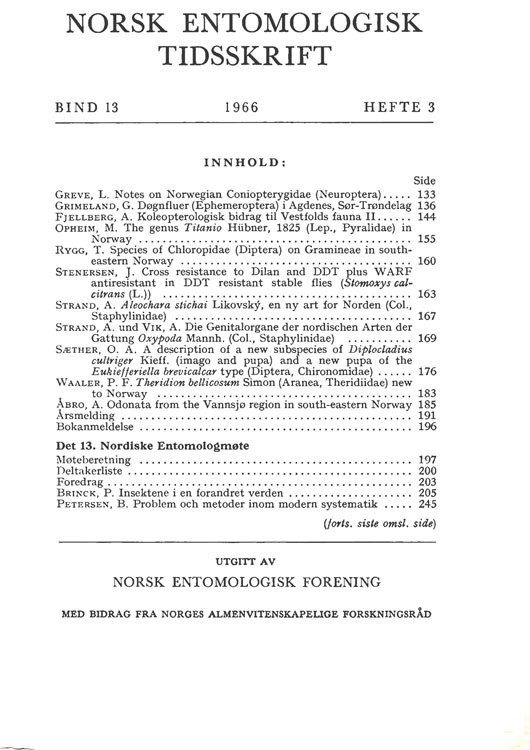 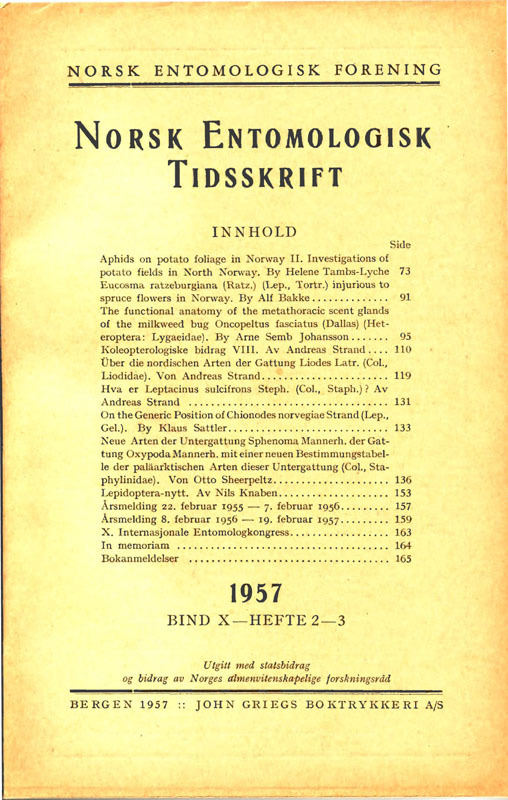 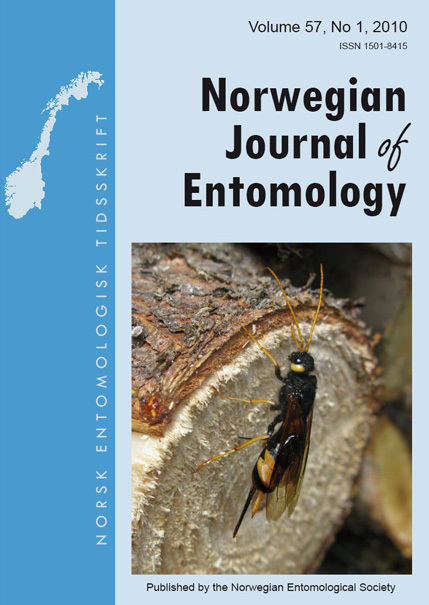 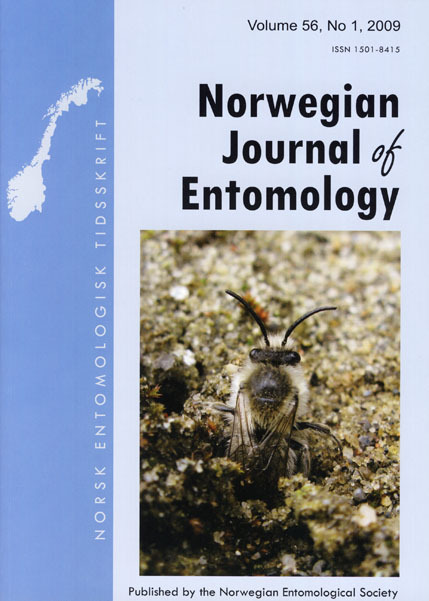 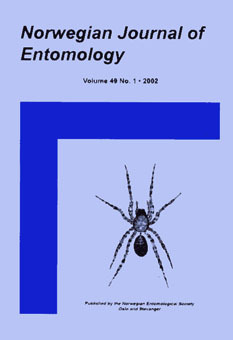 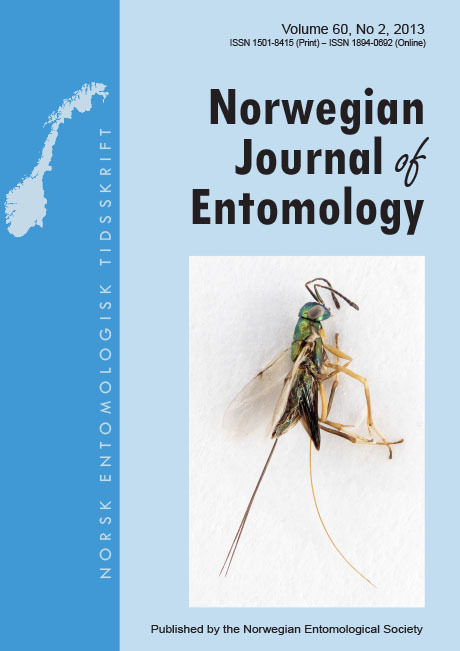 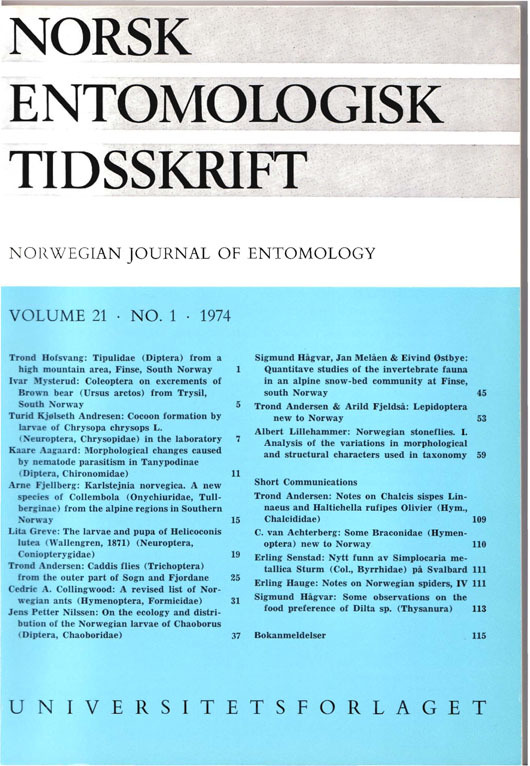 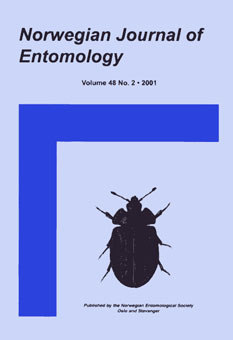 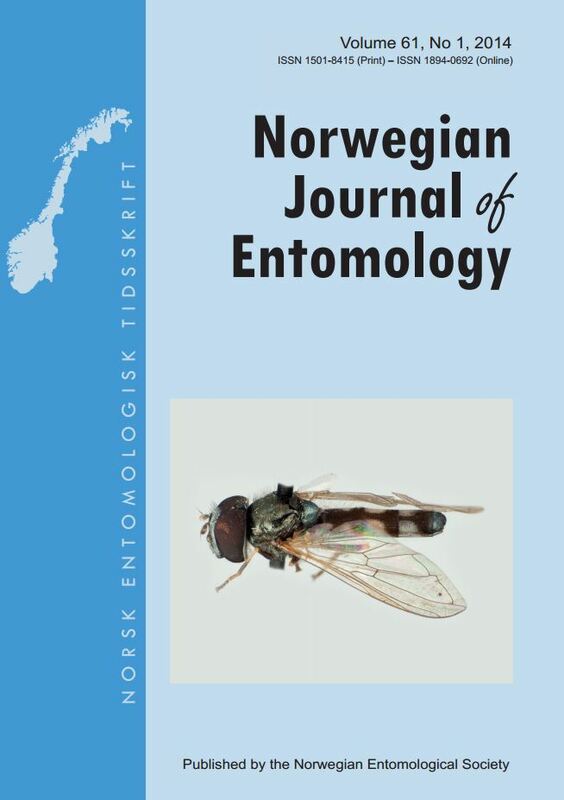 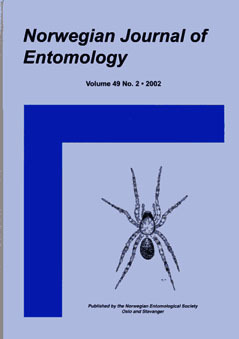 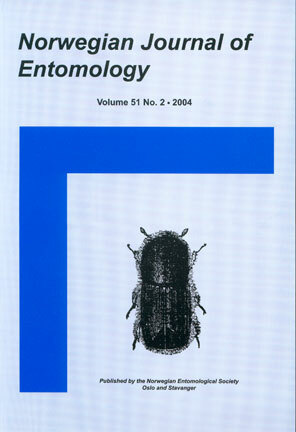 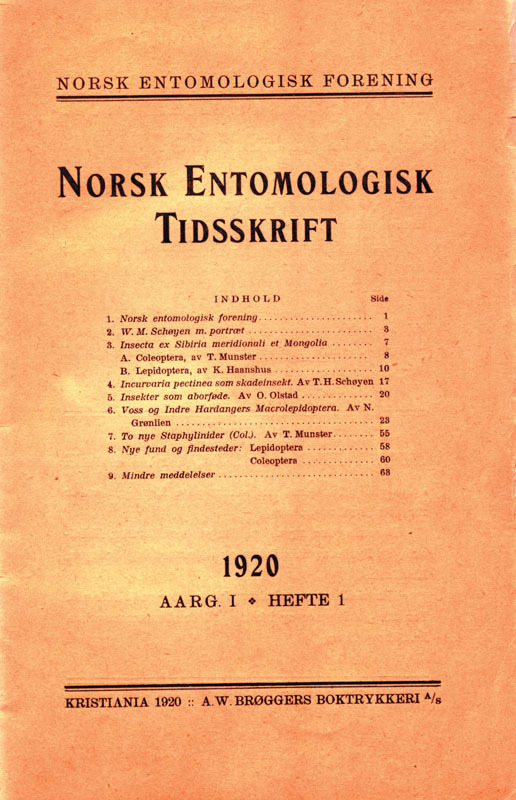 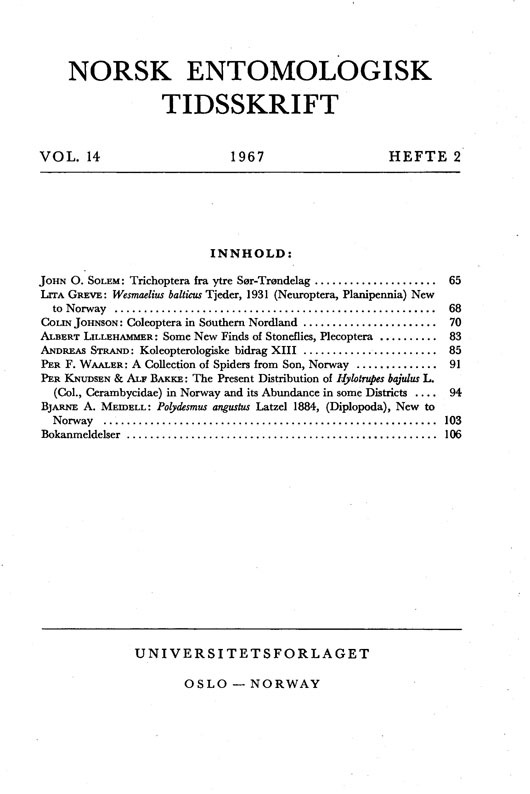 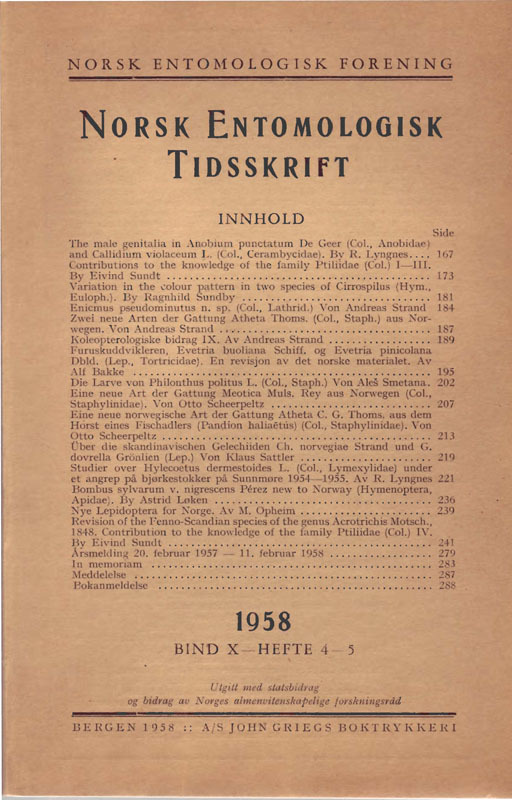 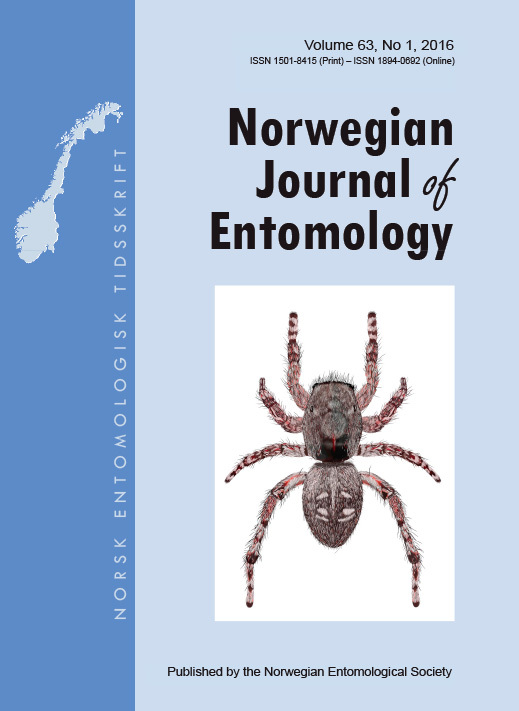 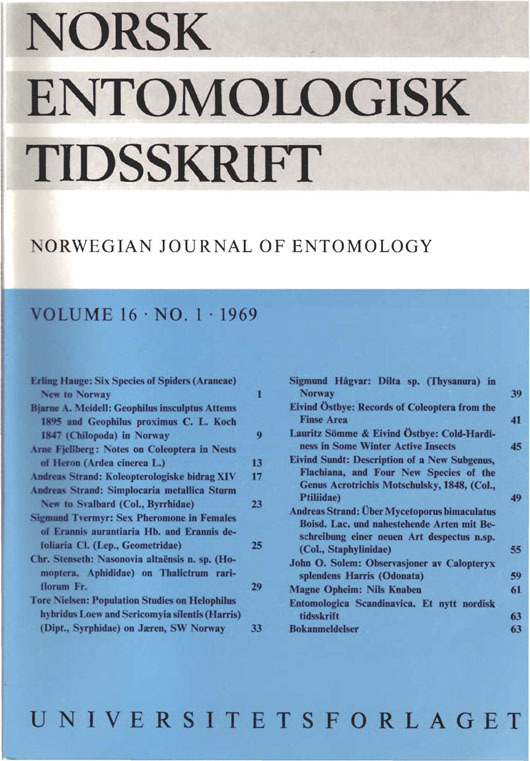 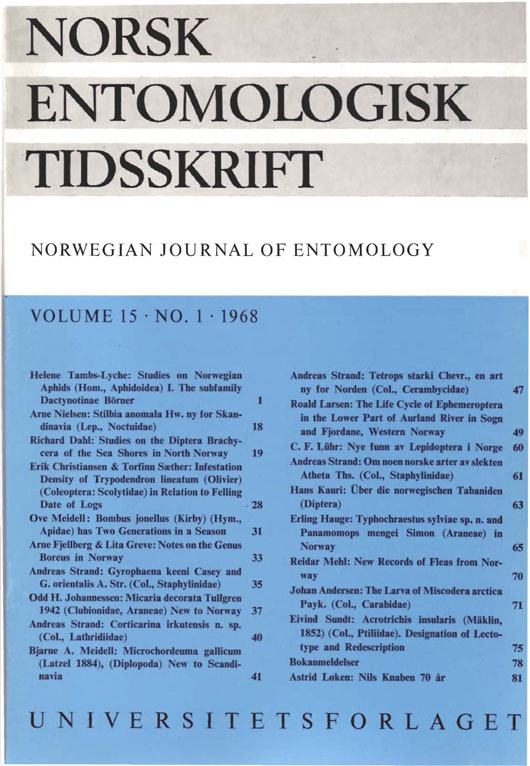 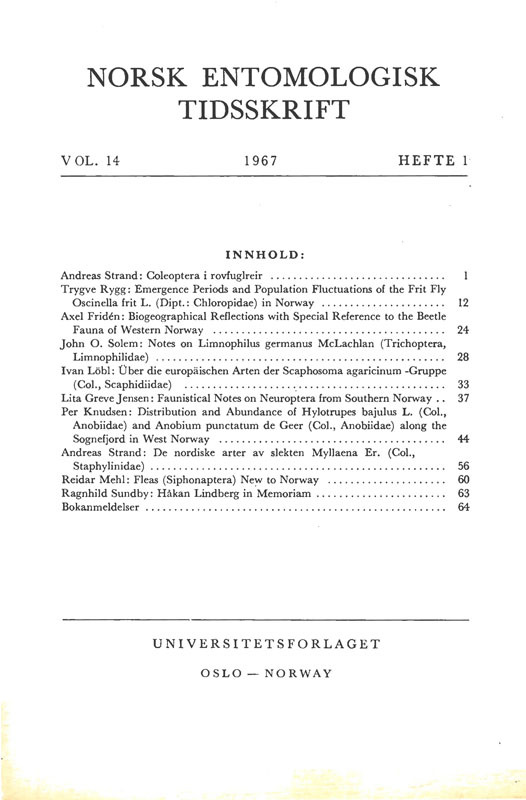 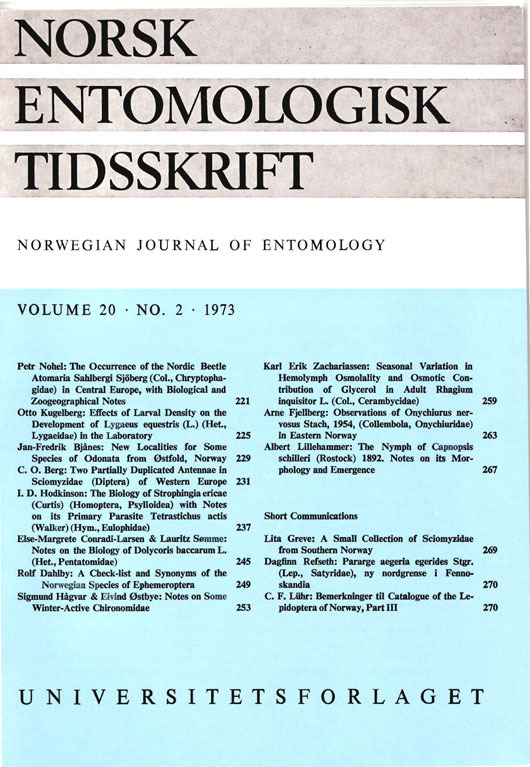 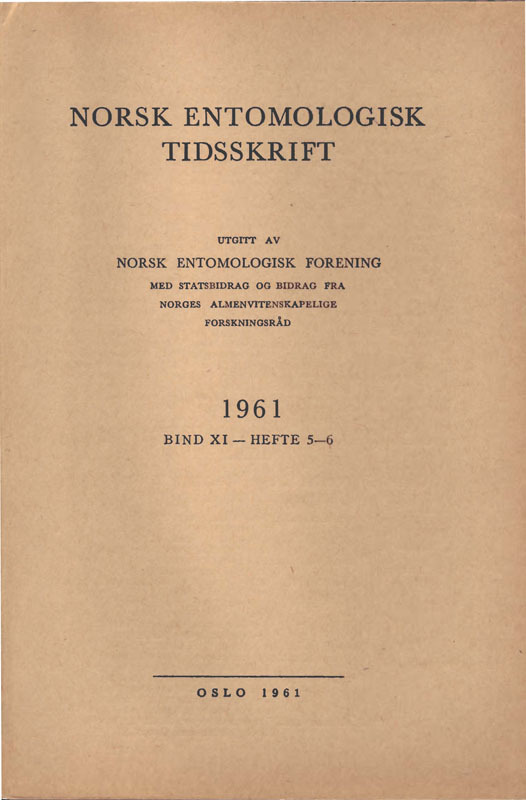 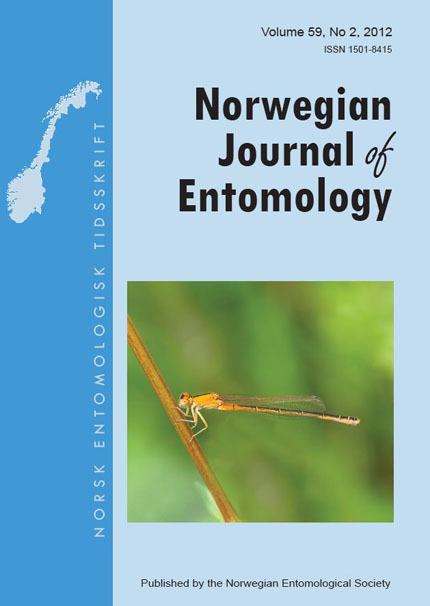 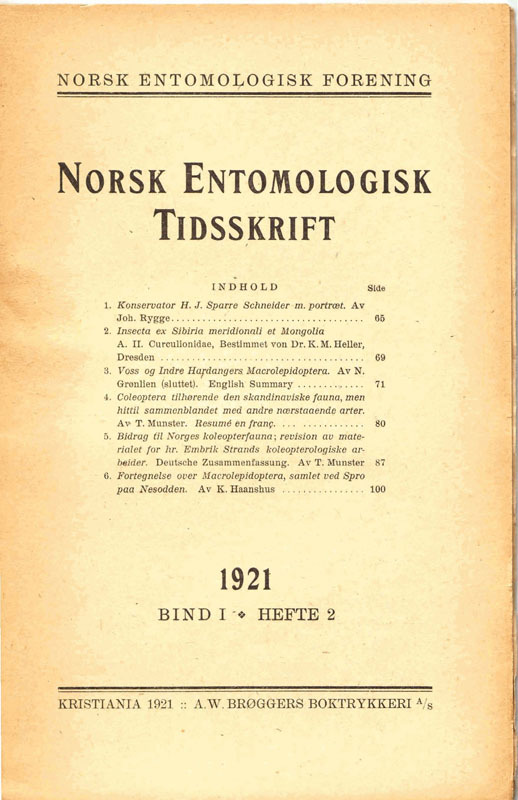 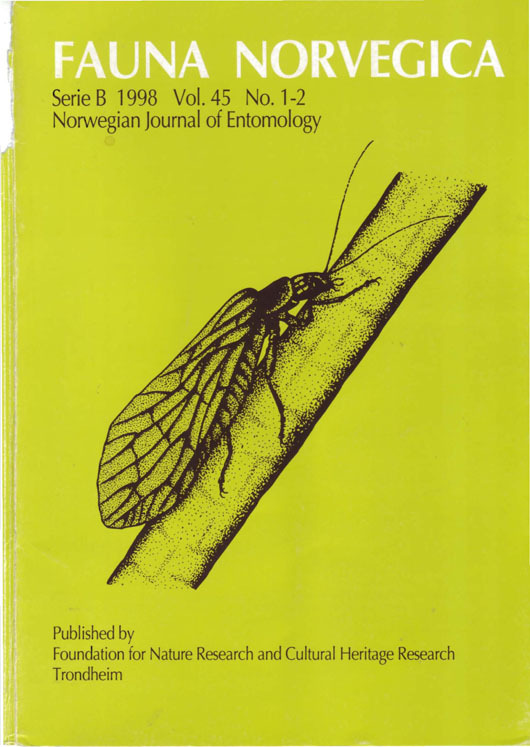 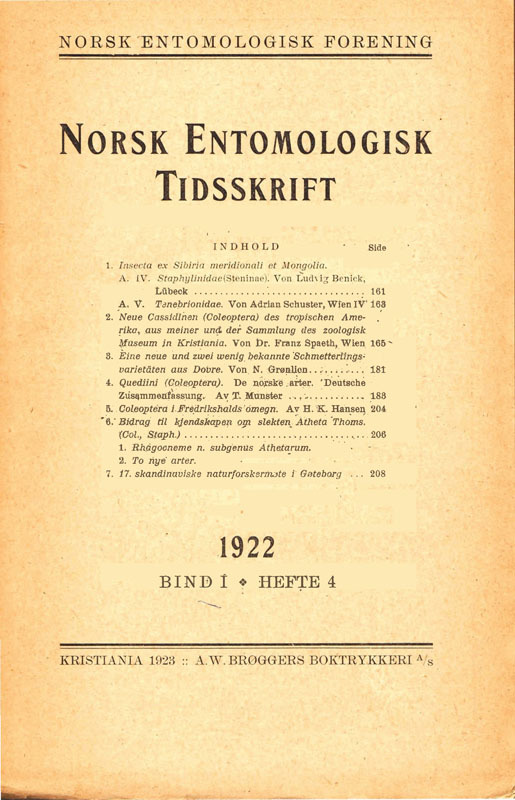 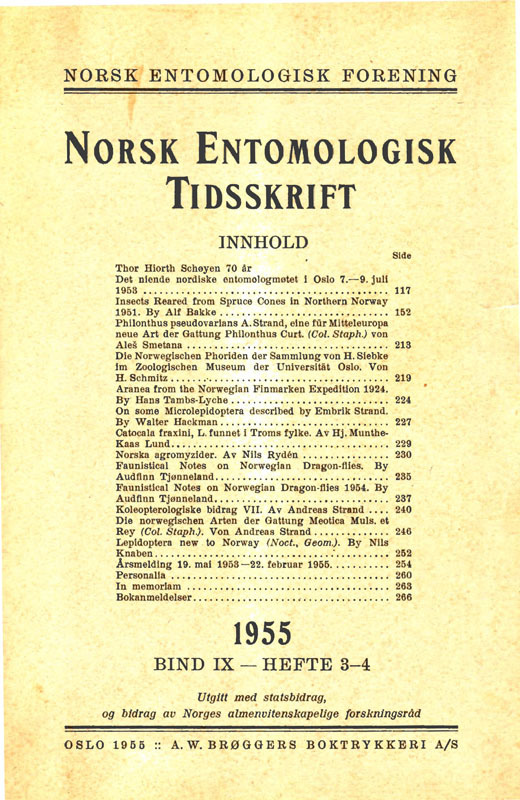 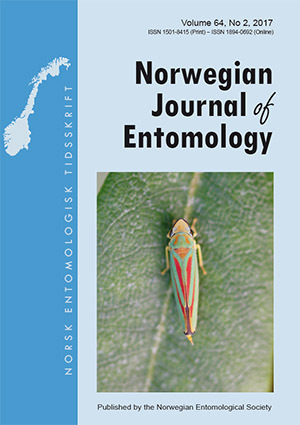 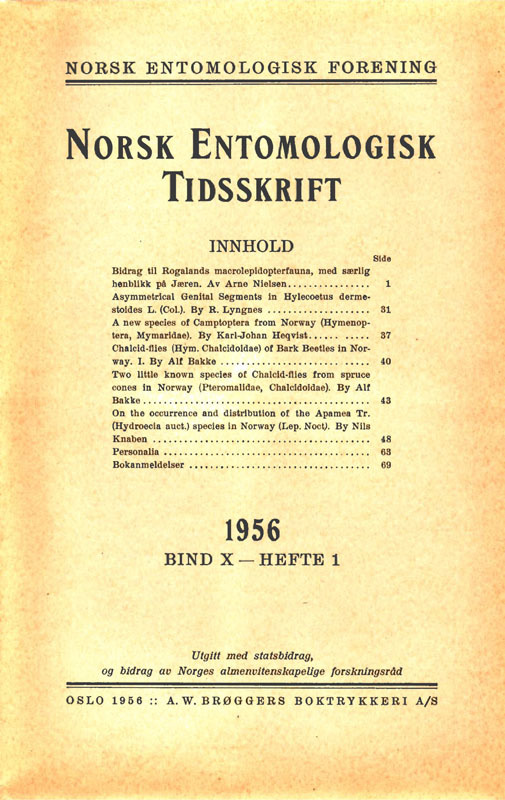 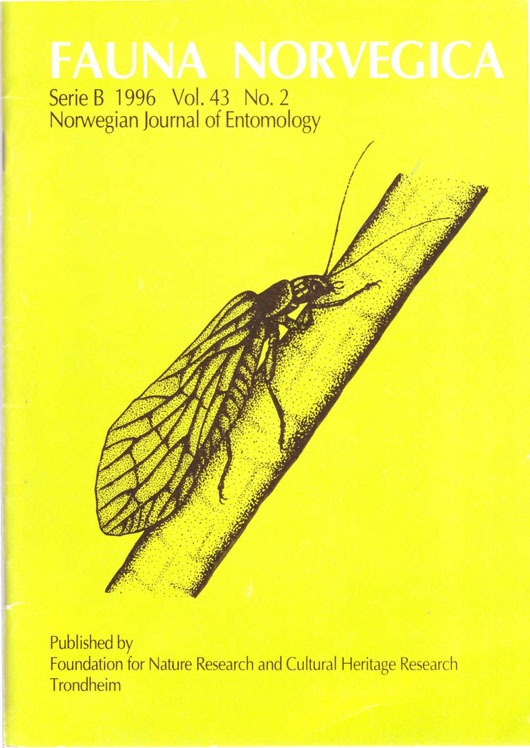 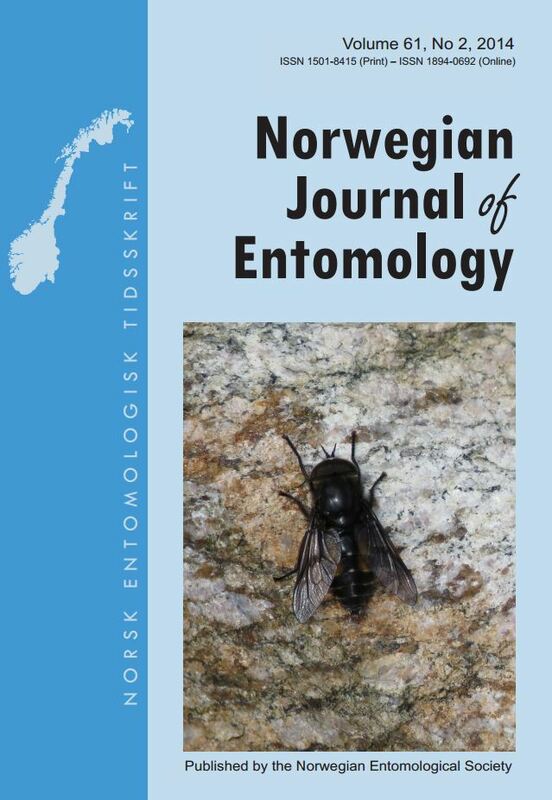 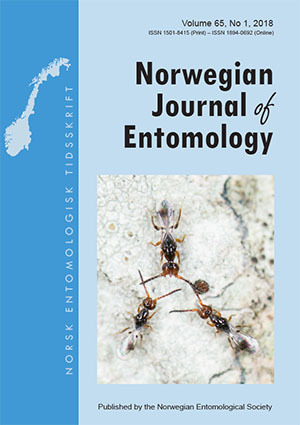 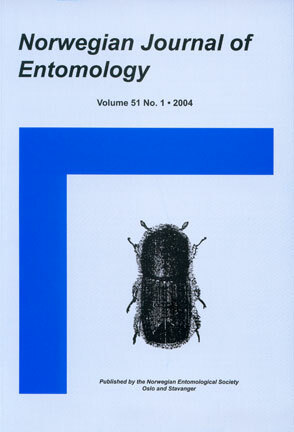 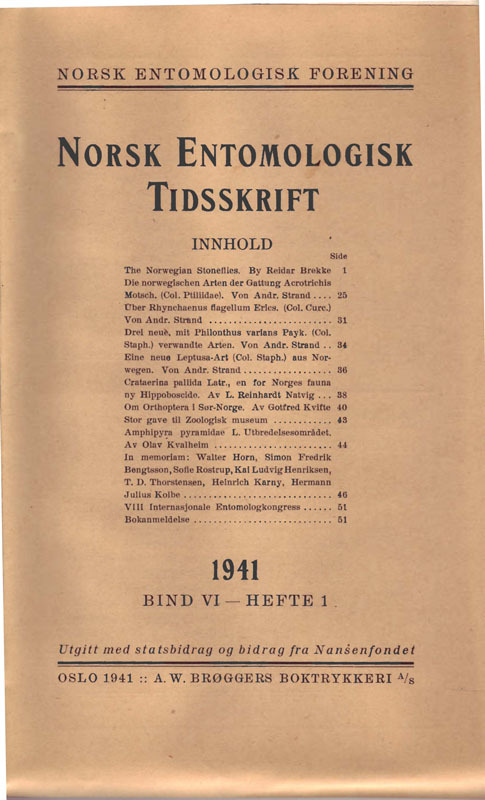 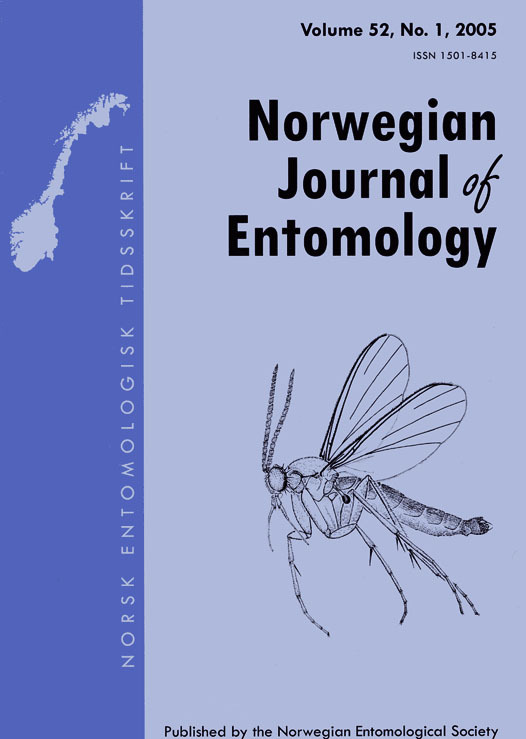 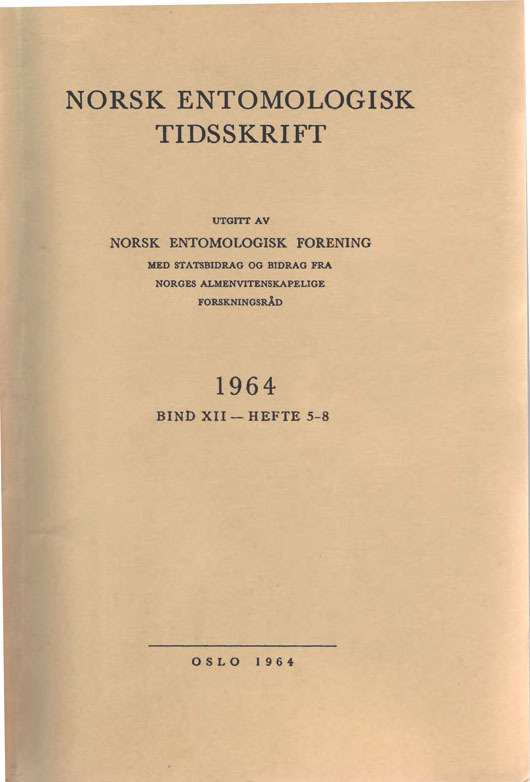 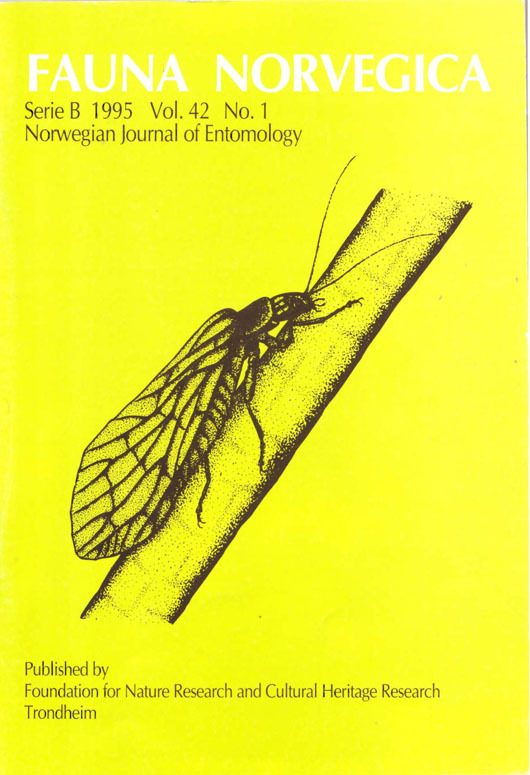 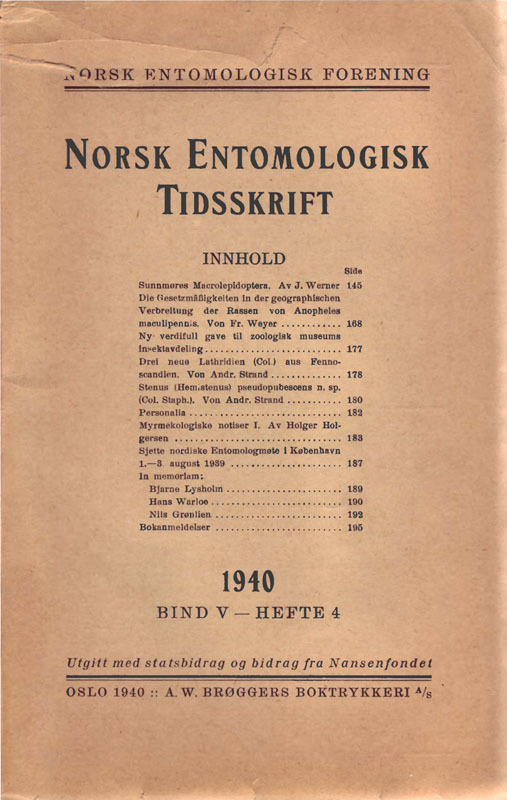 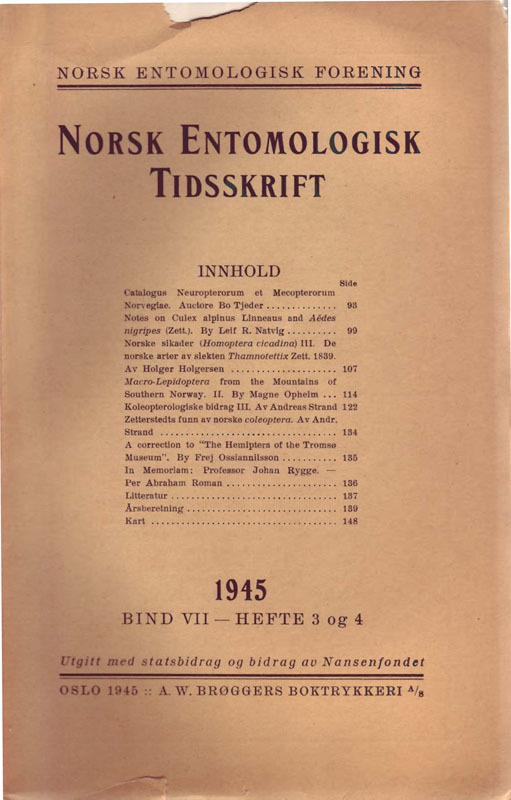 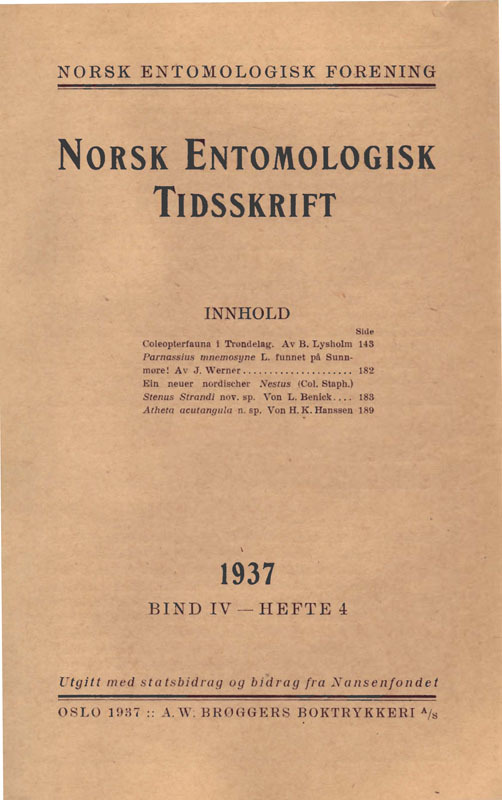 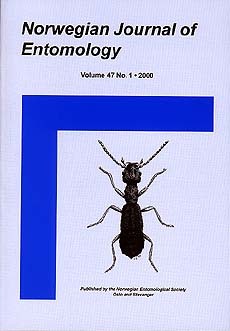 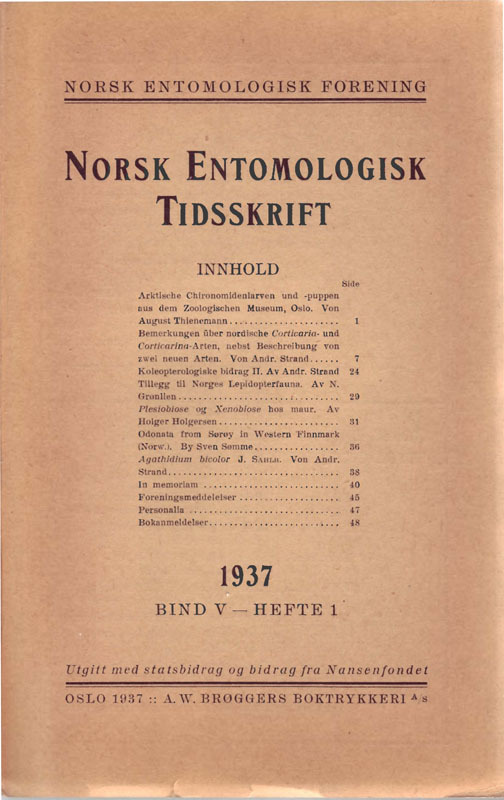 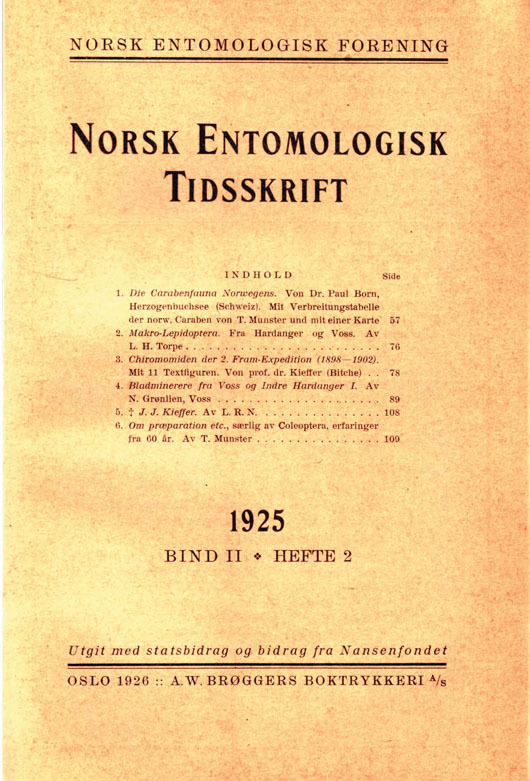 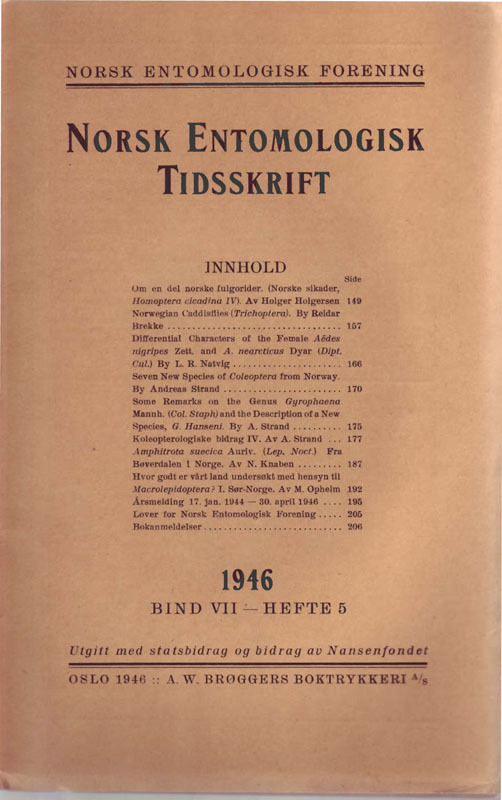 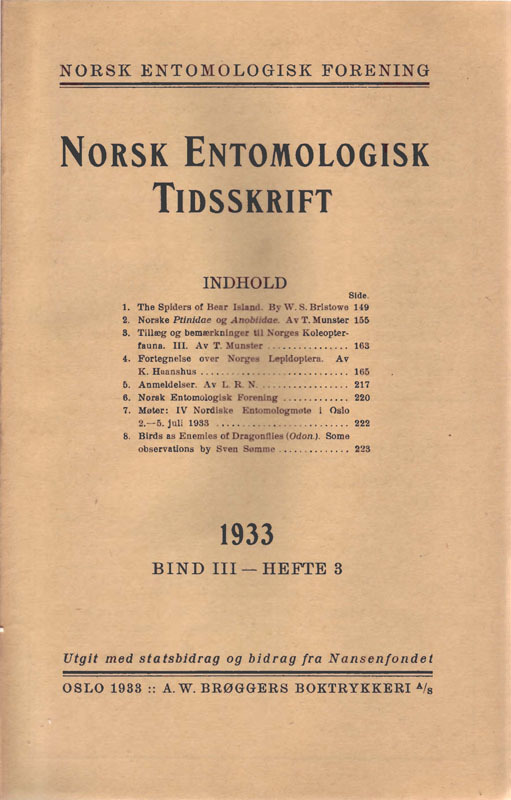 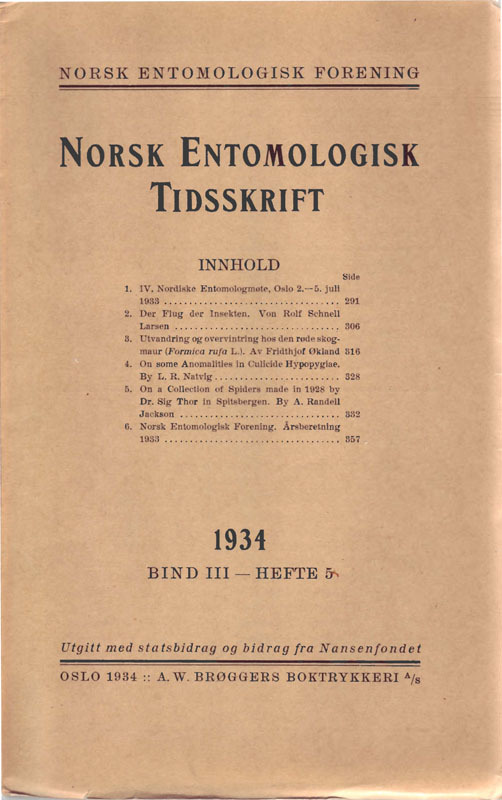 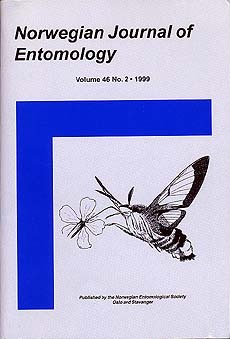 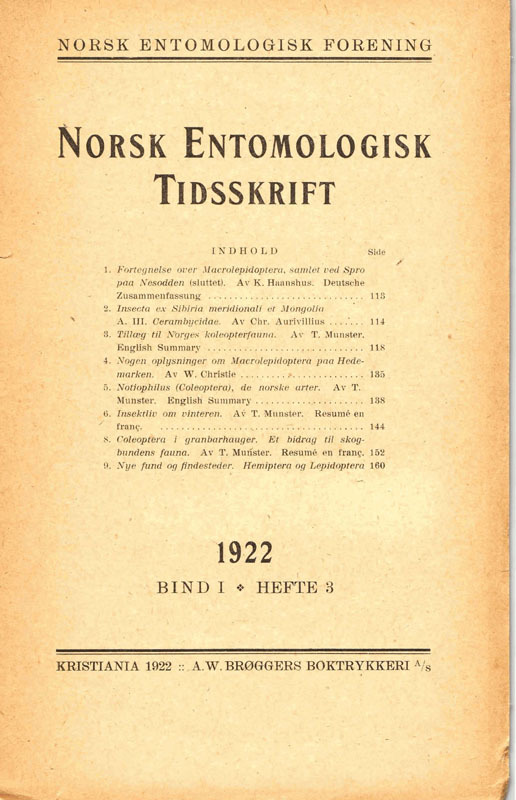 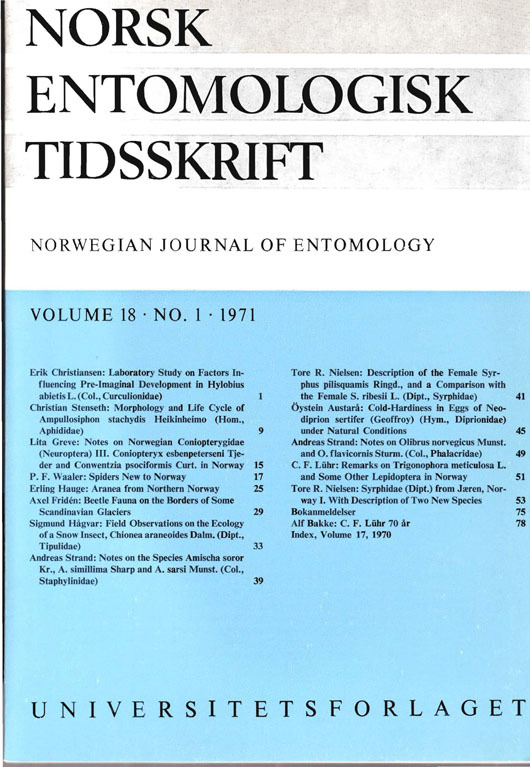 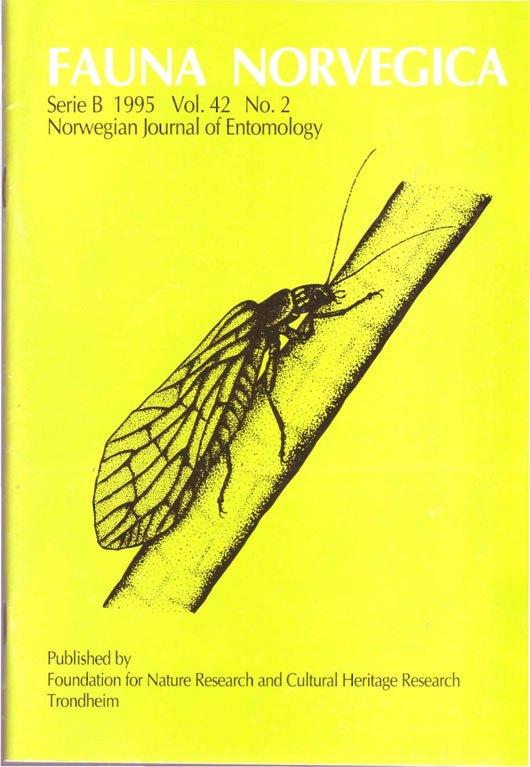 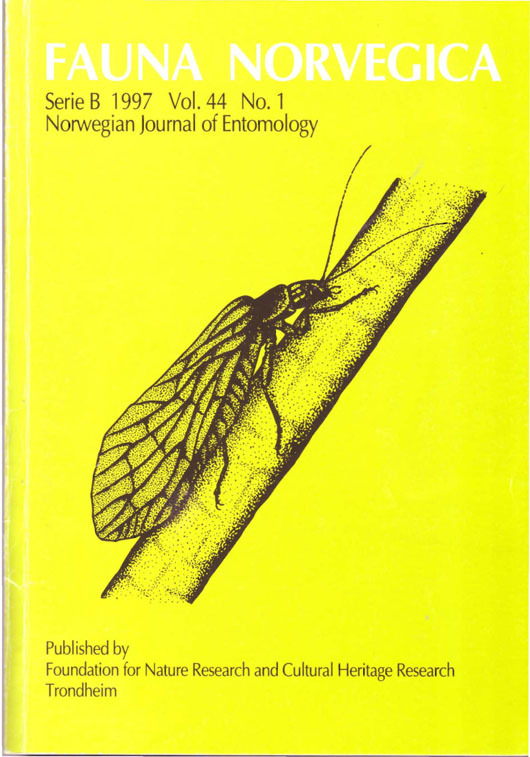 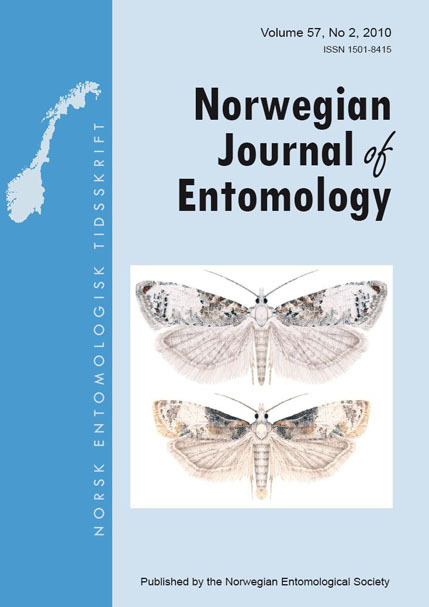 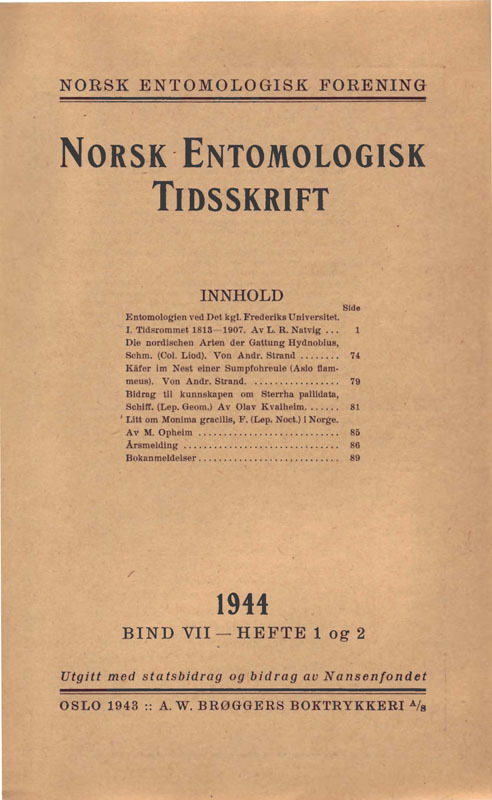 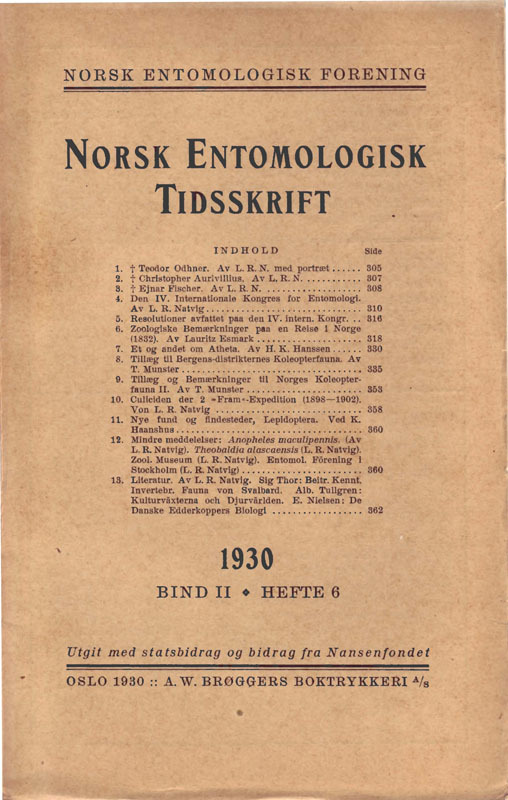 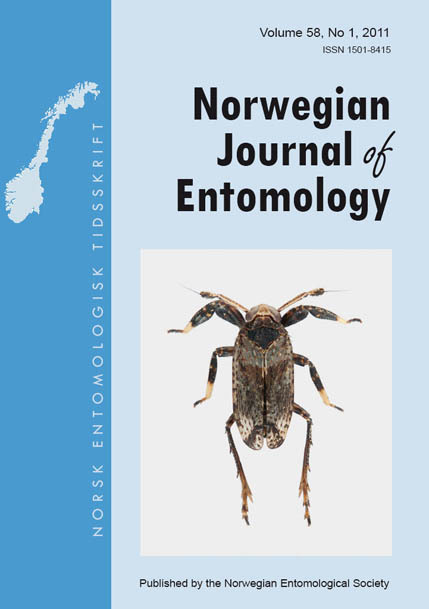 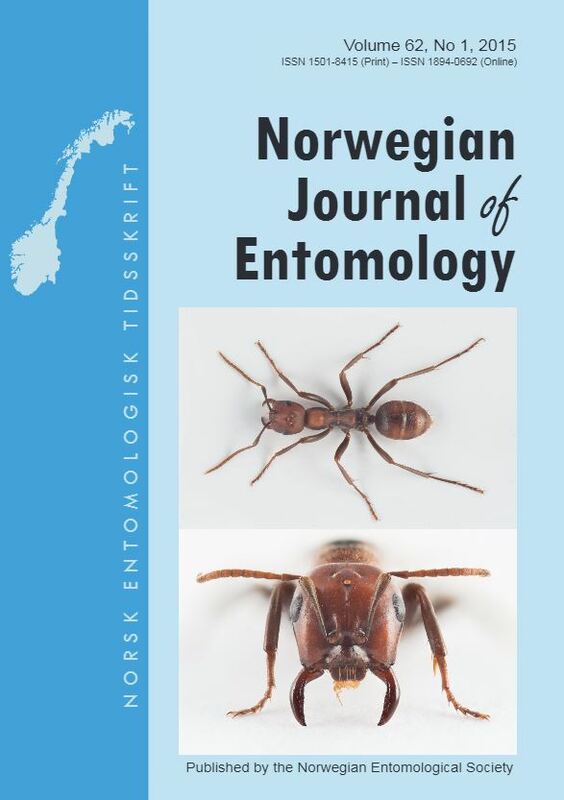 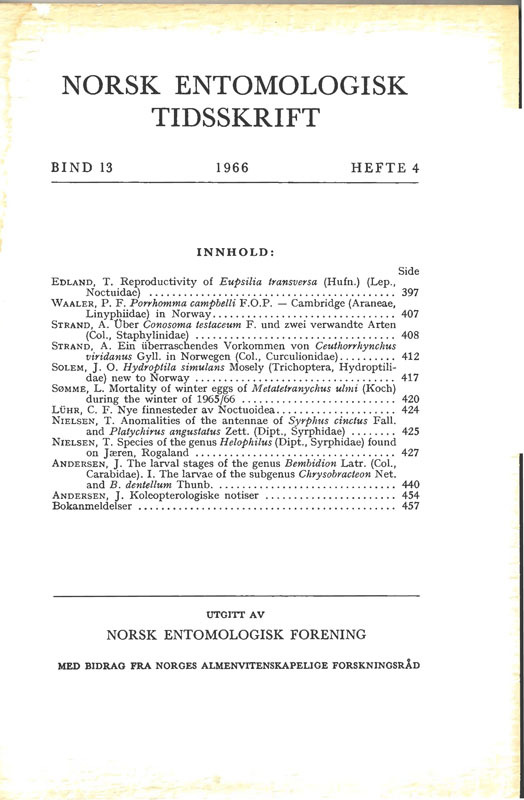 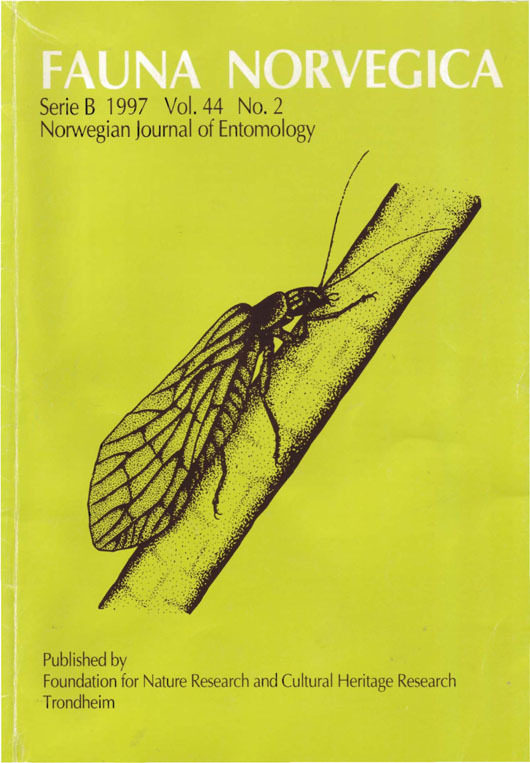 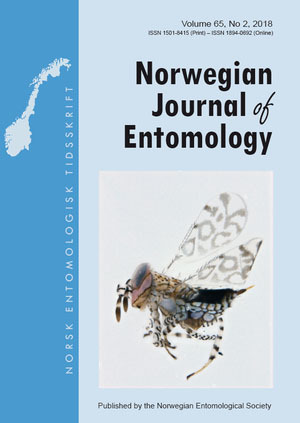 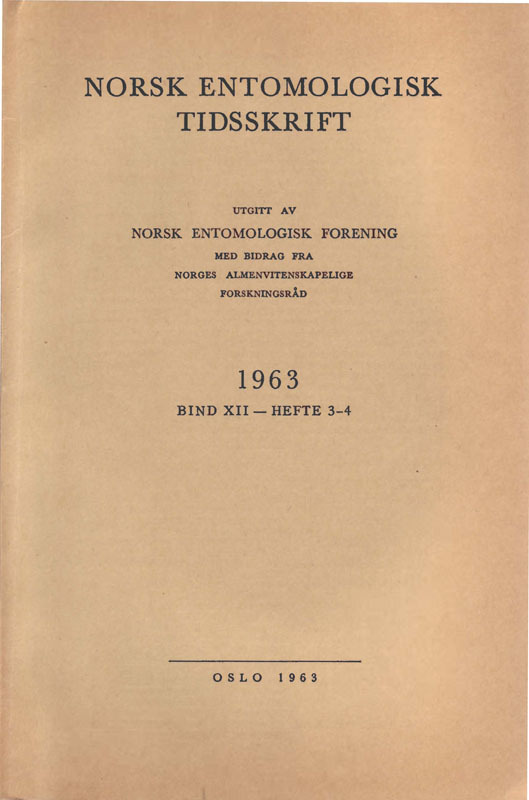 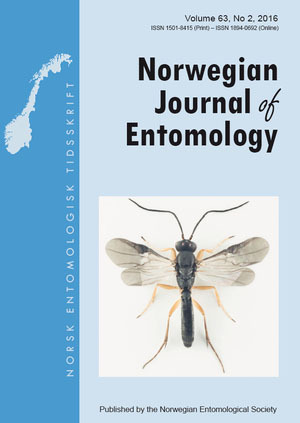 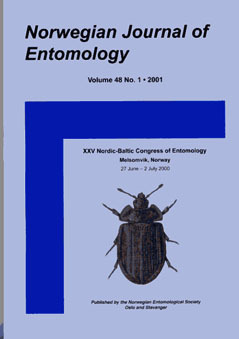 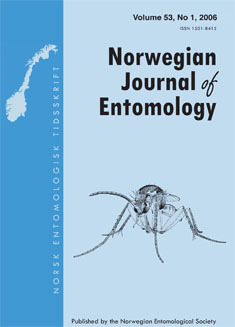 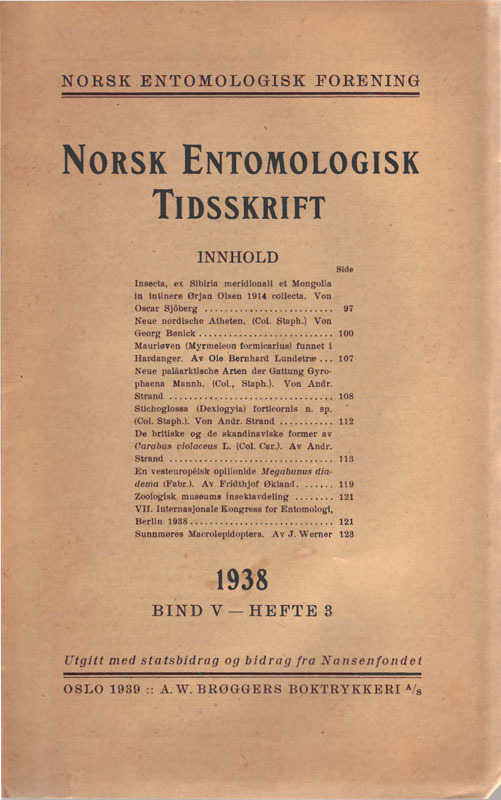 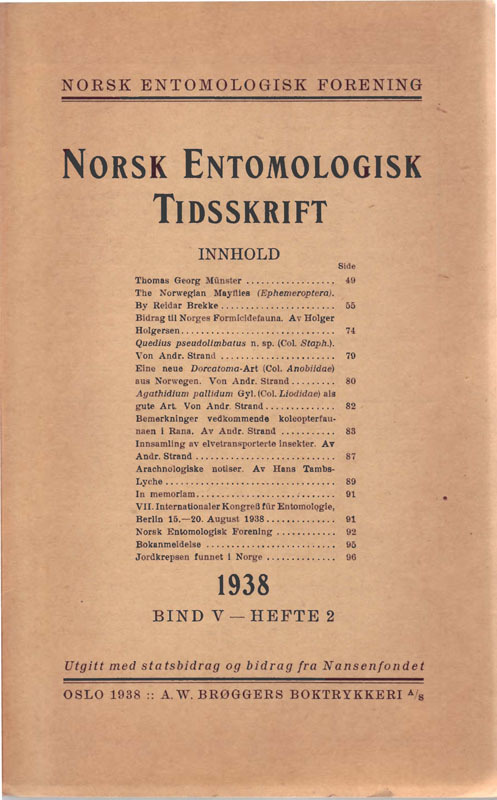 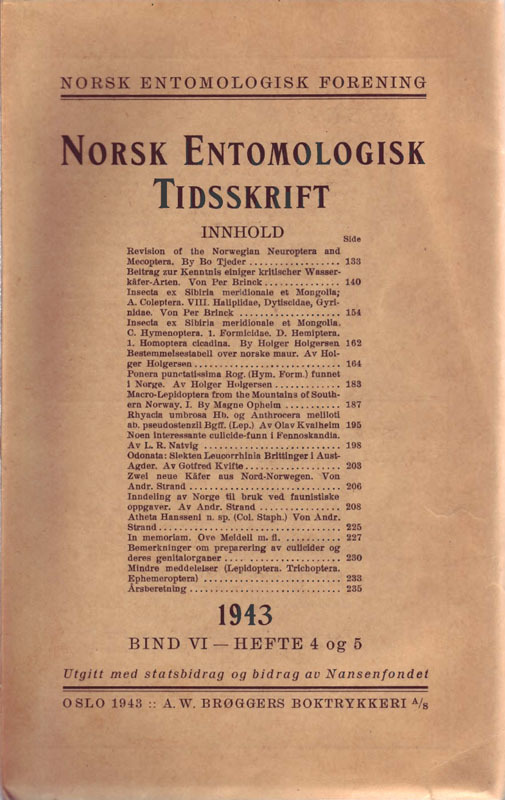 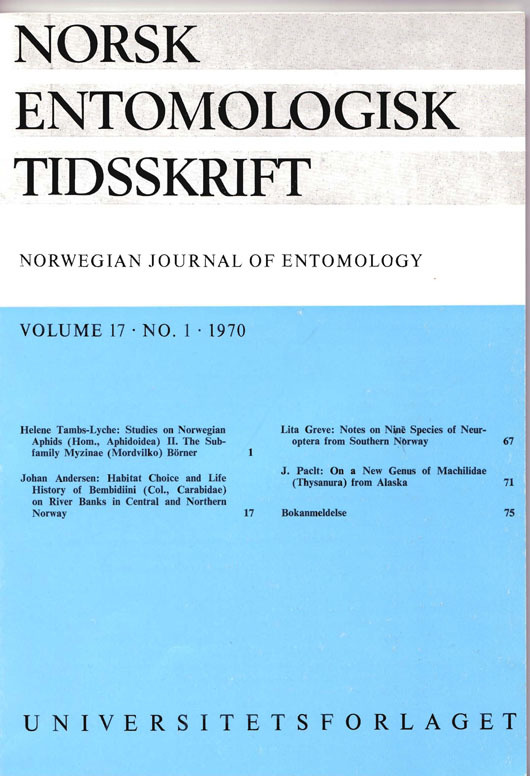 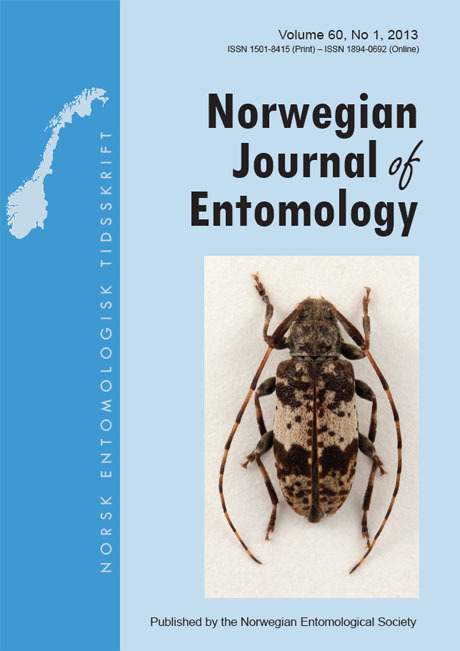 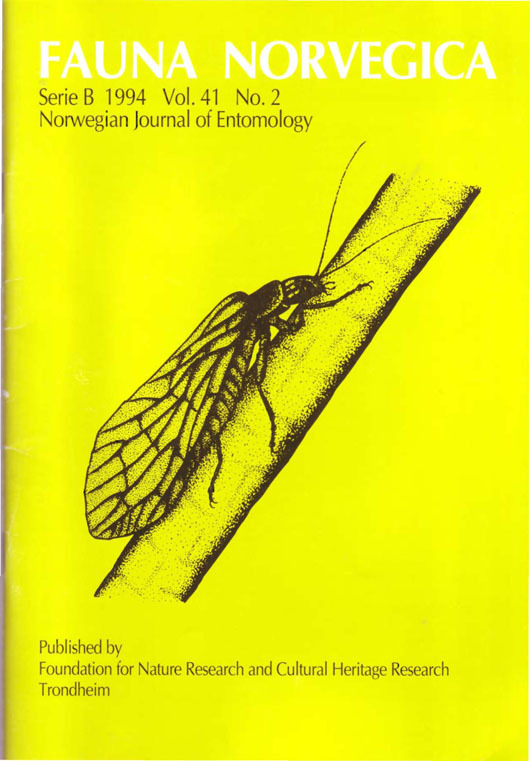 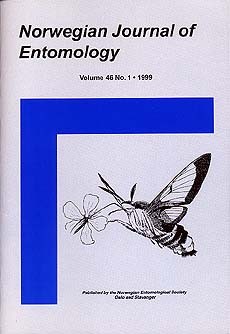 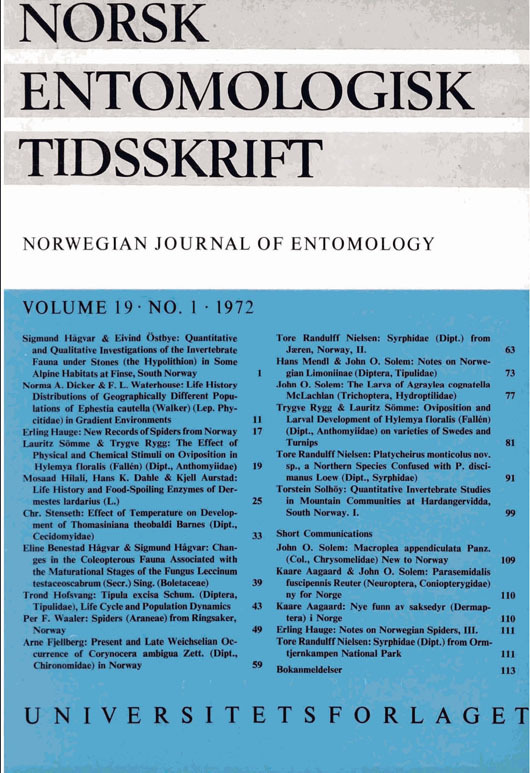 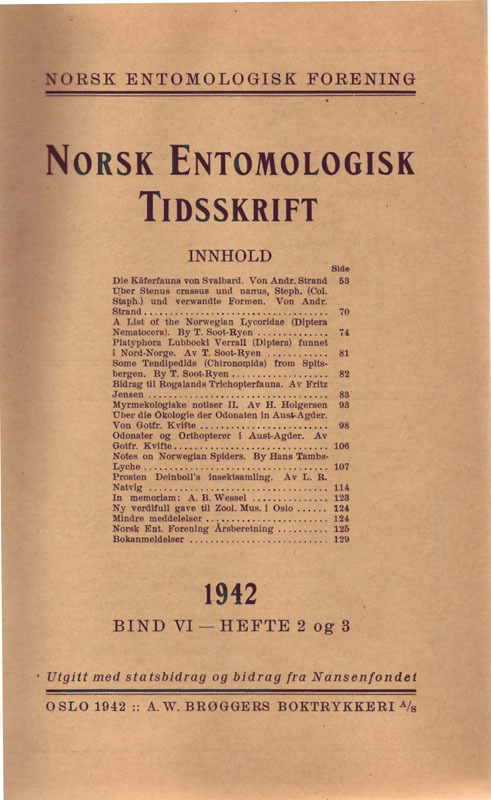 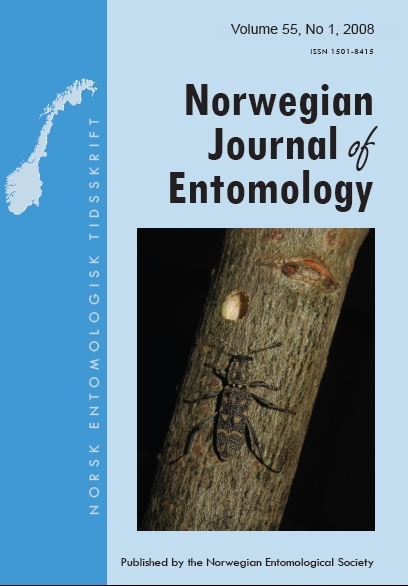 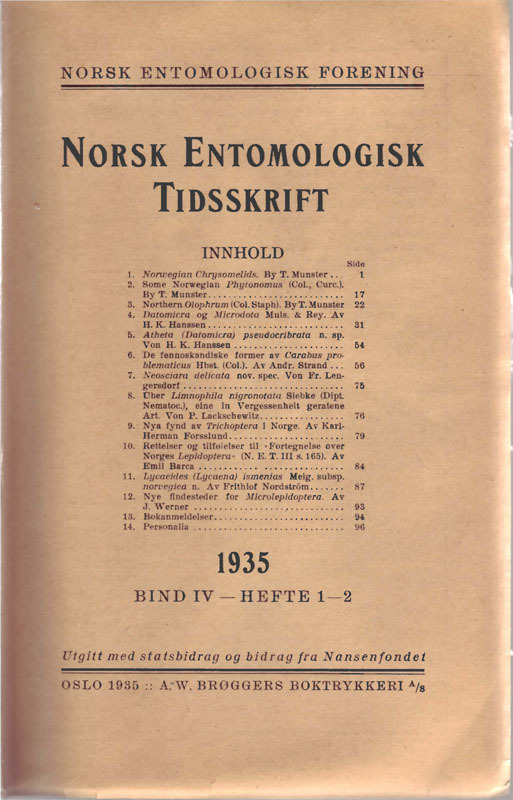 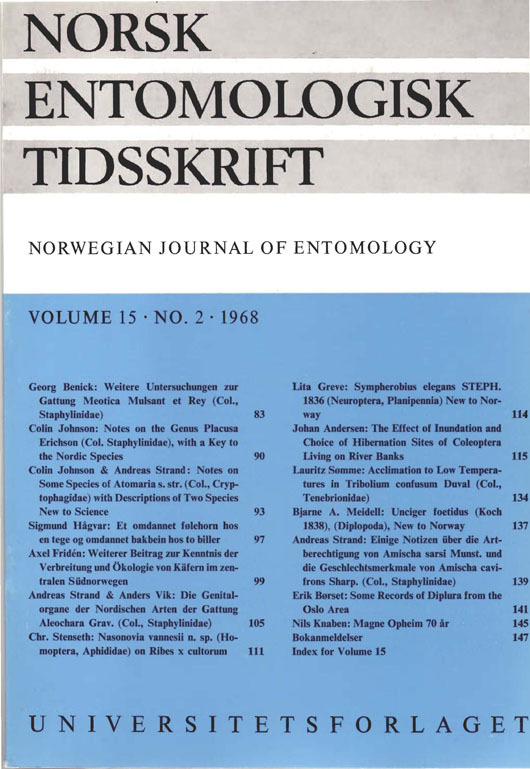 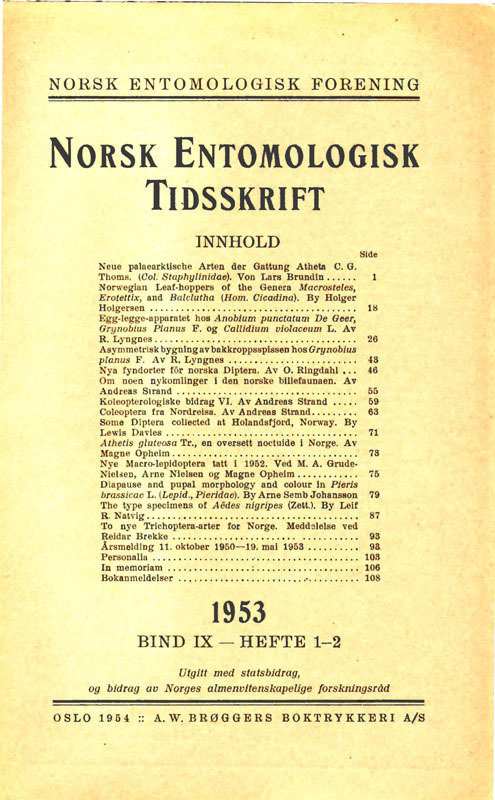 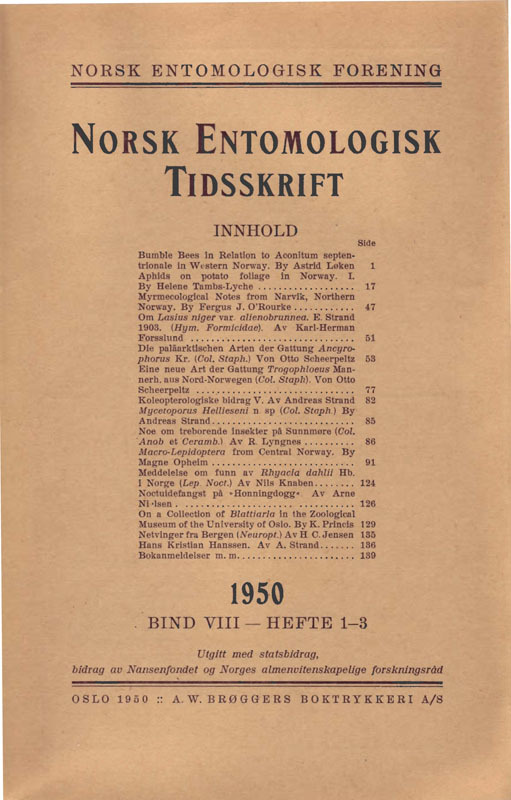 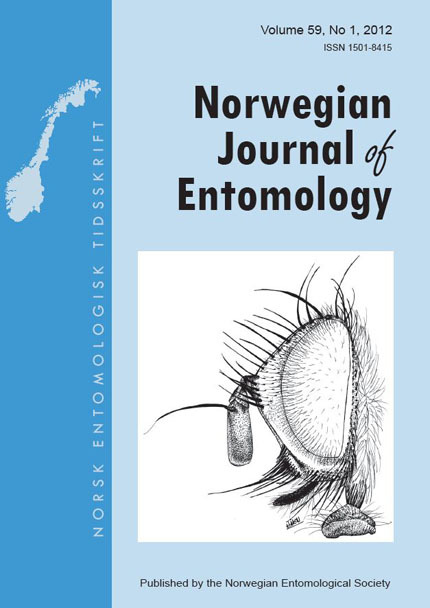 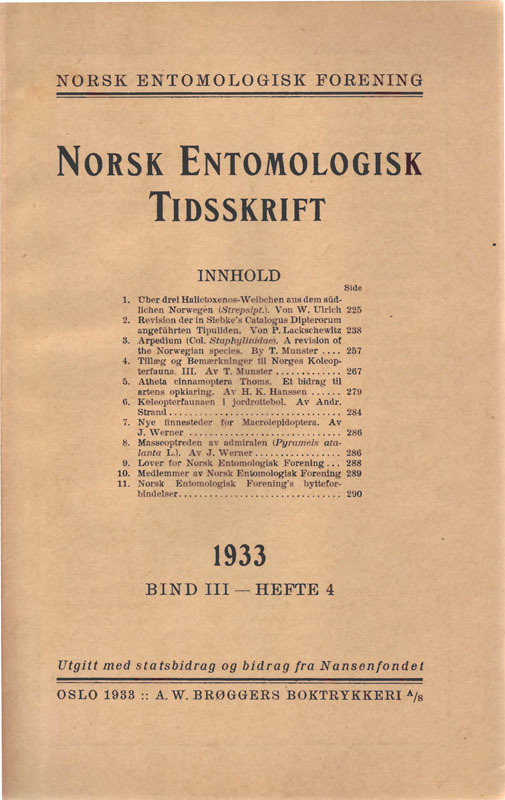 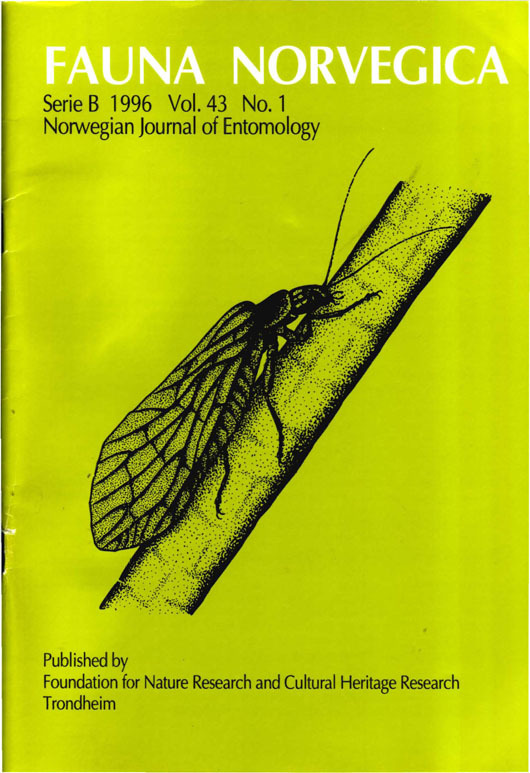 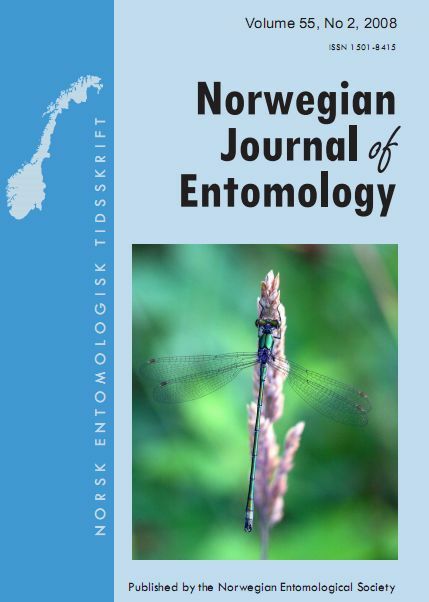 The Norwegian Journal of Entomology (ISSN 1501-8415) is the scientific publication of the Norwegian Entomological Society. 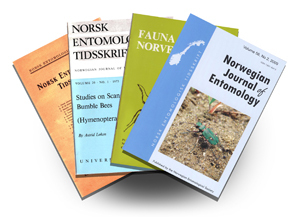 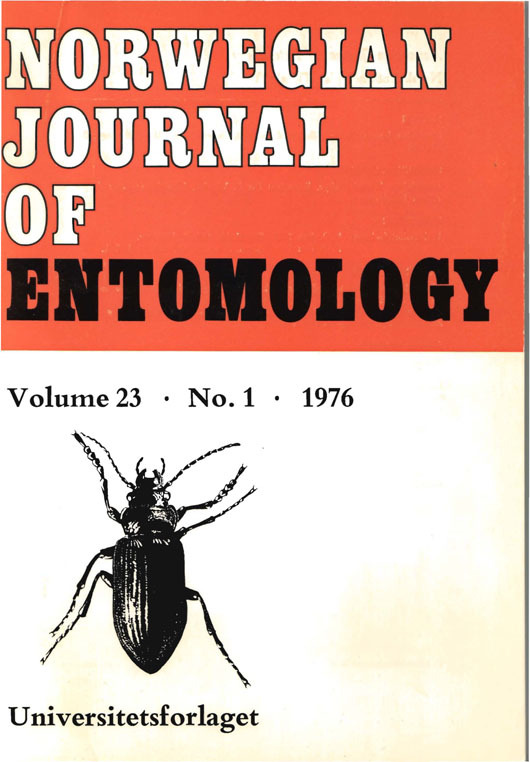 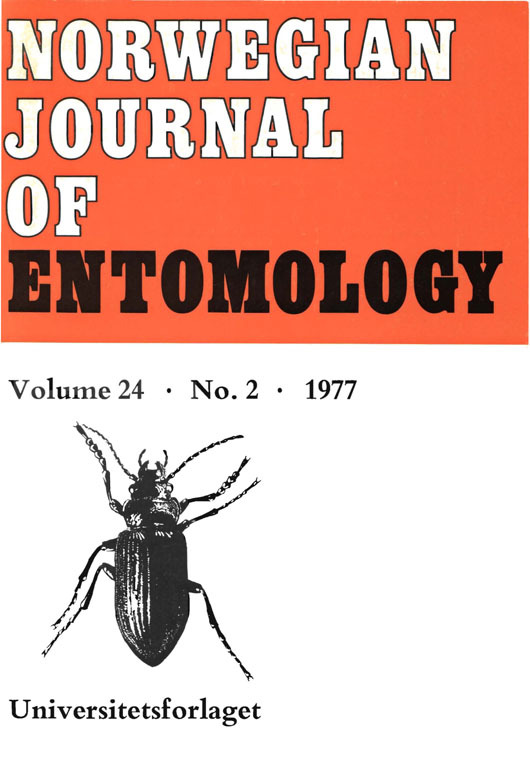 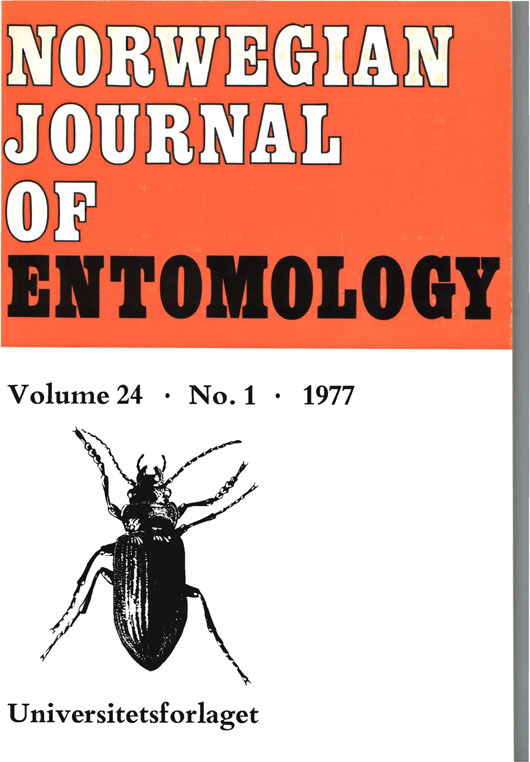 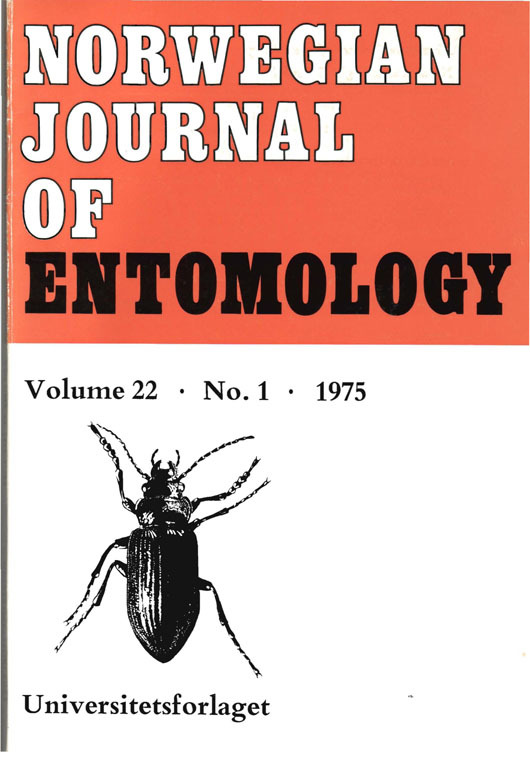 The journal is issued twice a year and publishes original papers and reviews on taxonomy, faunistics, zoogeography, and general and applied ecology of insects and related terrestrial arthropods. 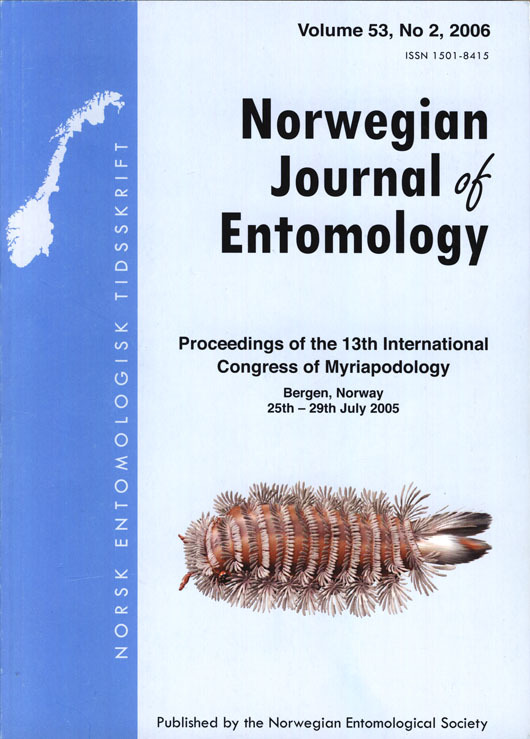 The journal is published in English. 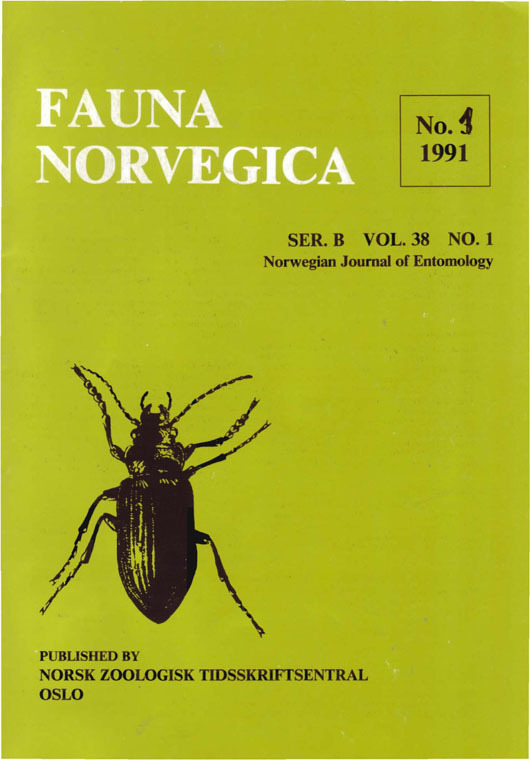 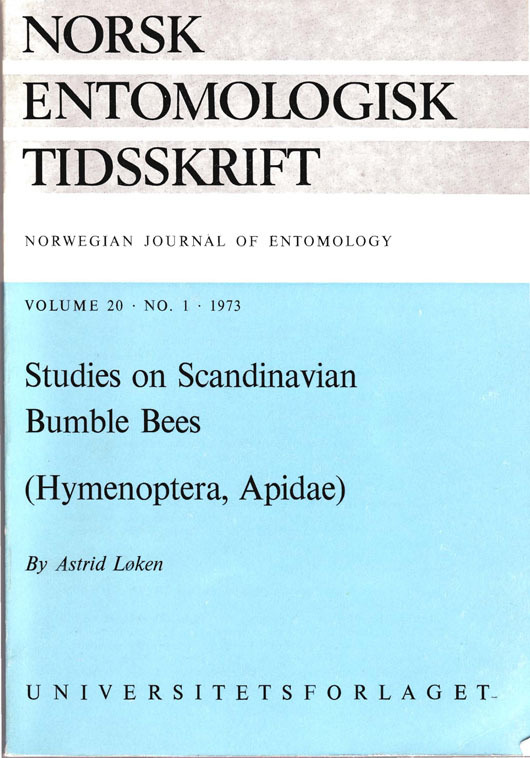 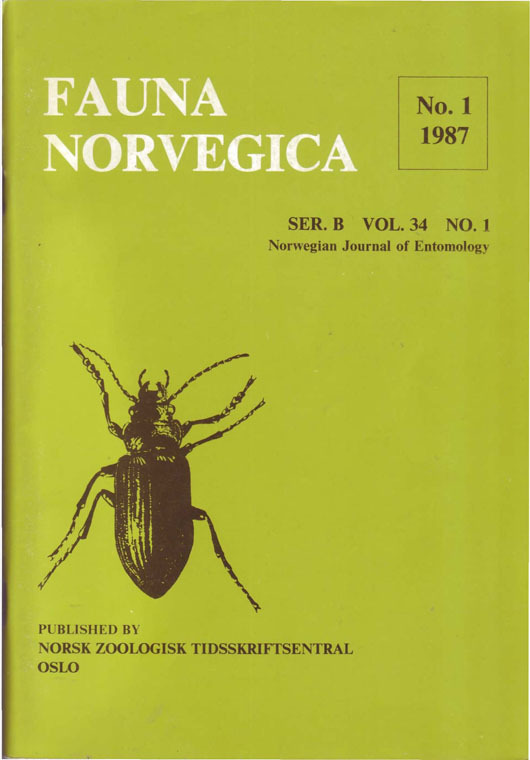 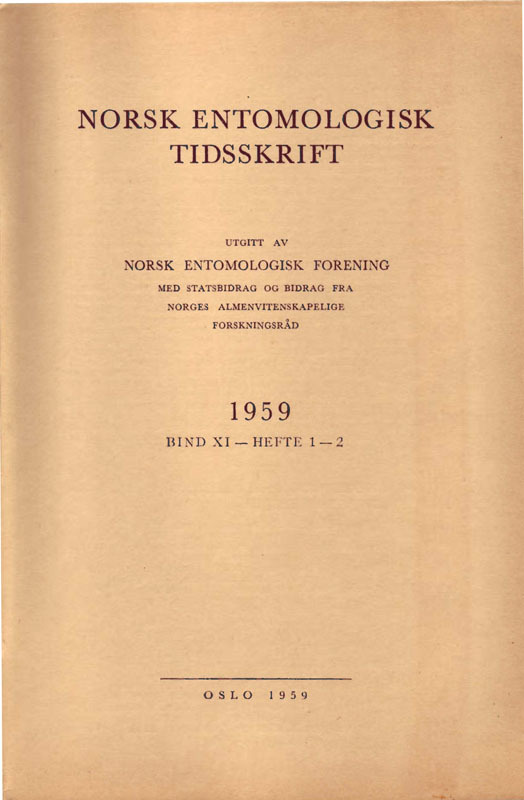 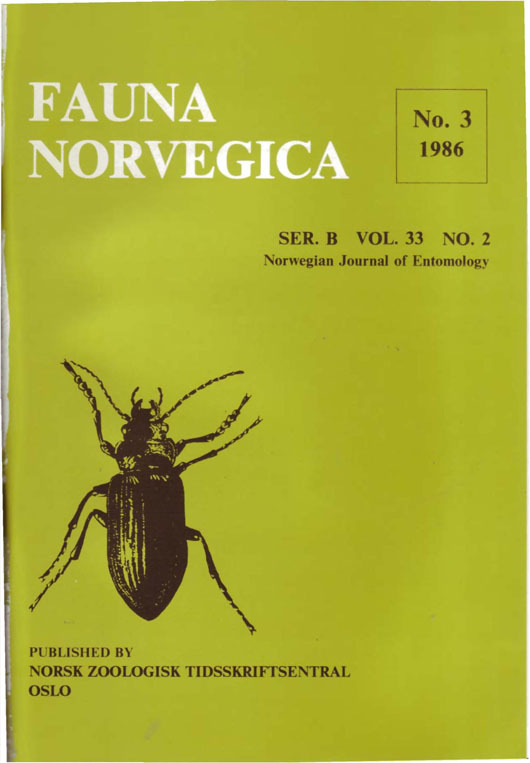 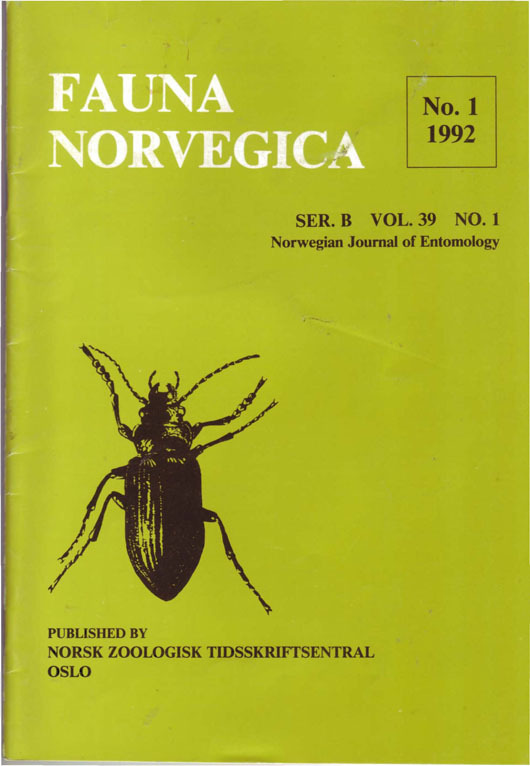 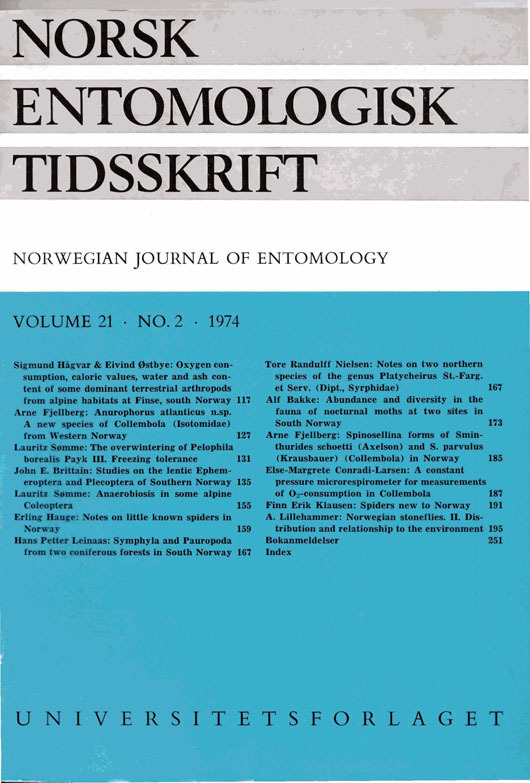 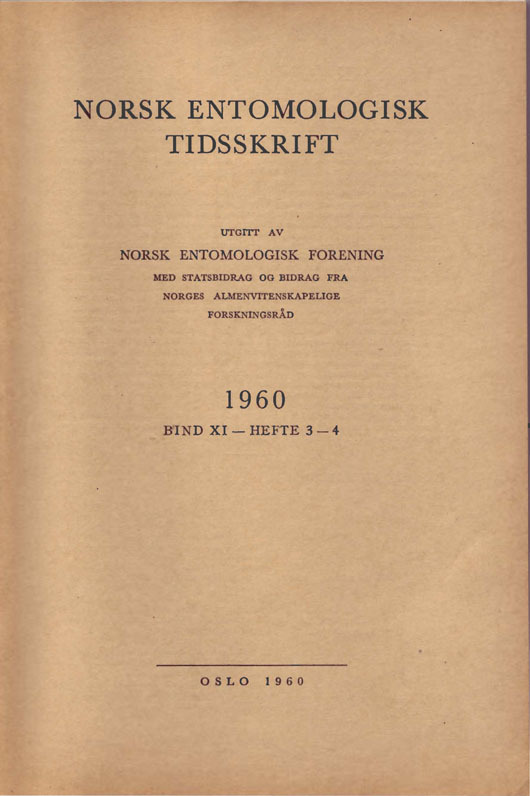 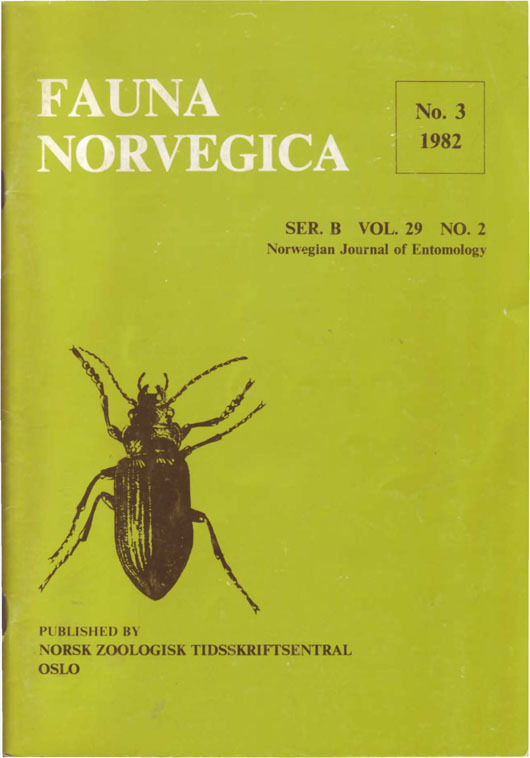 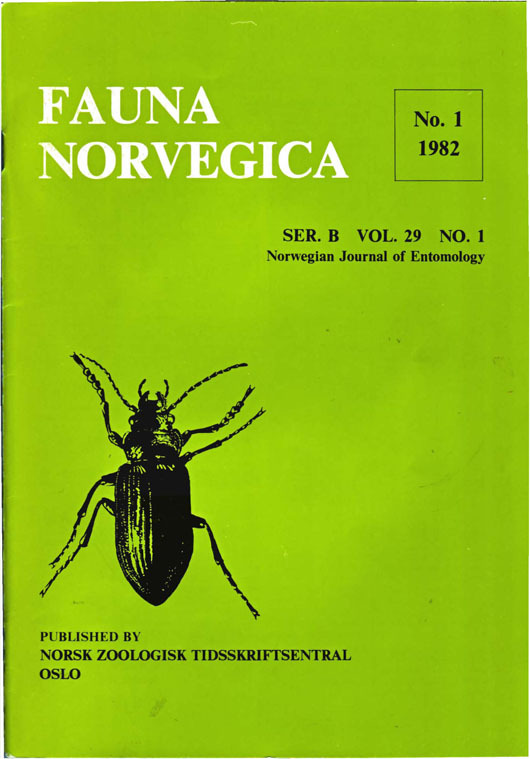 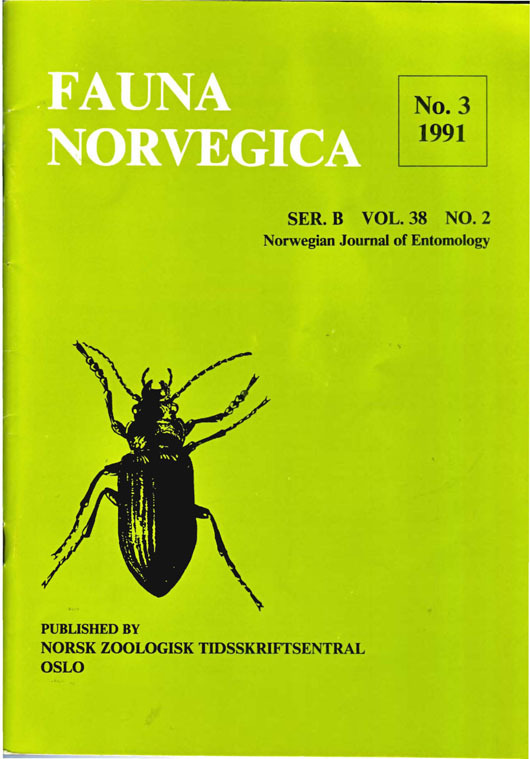 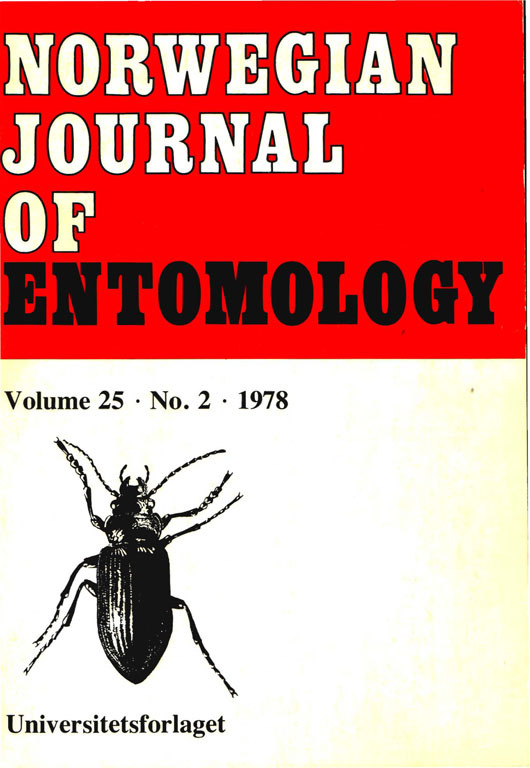 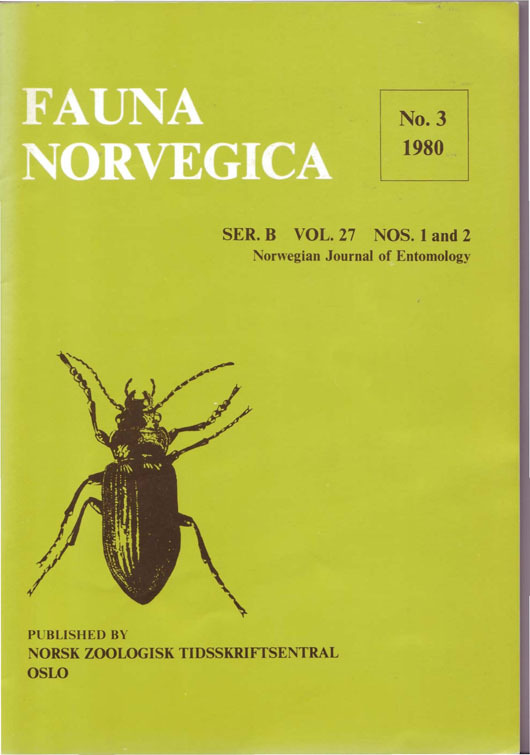 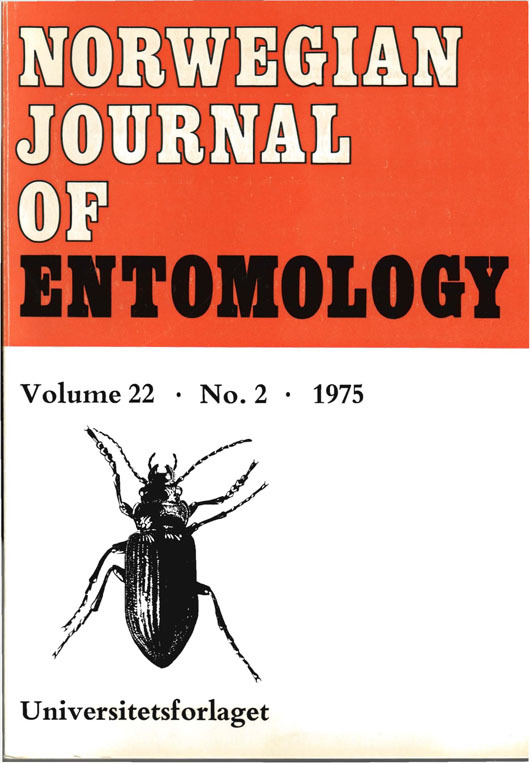 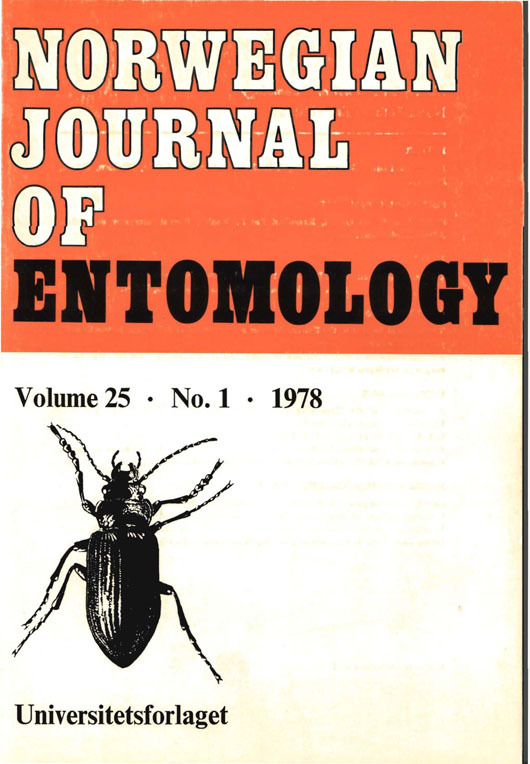 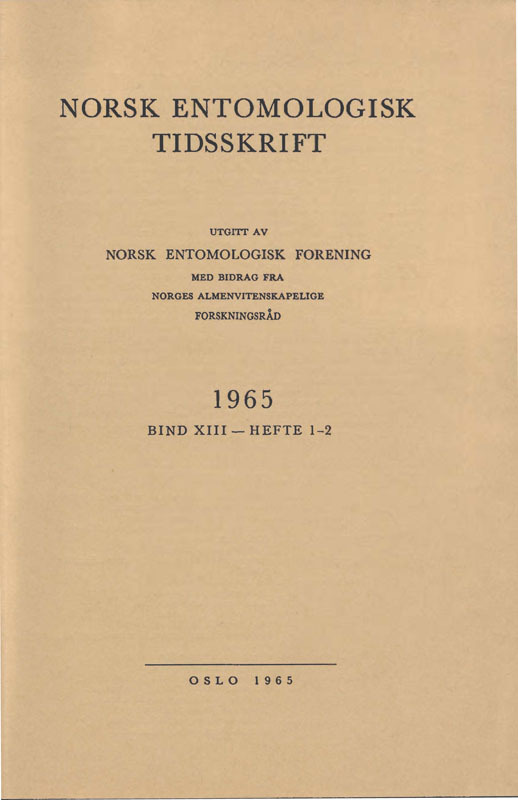 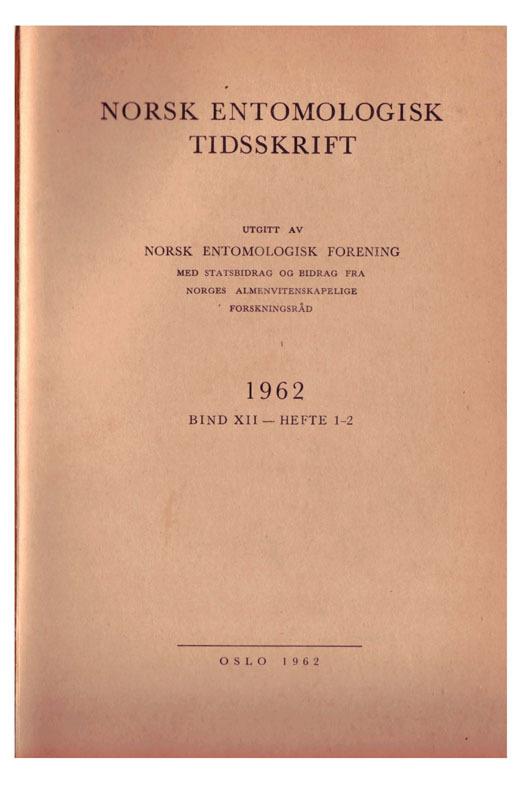 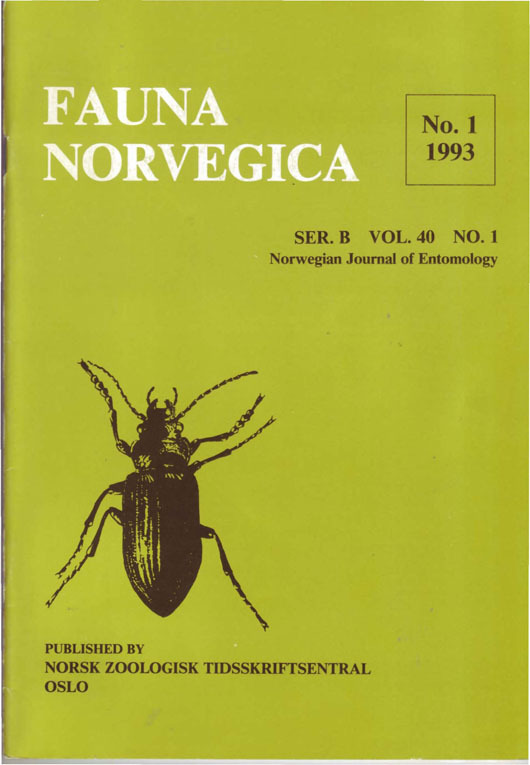 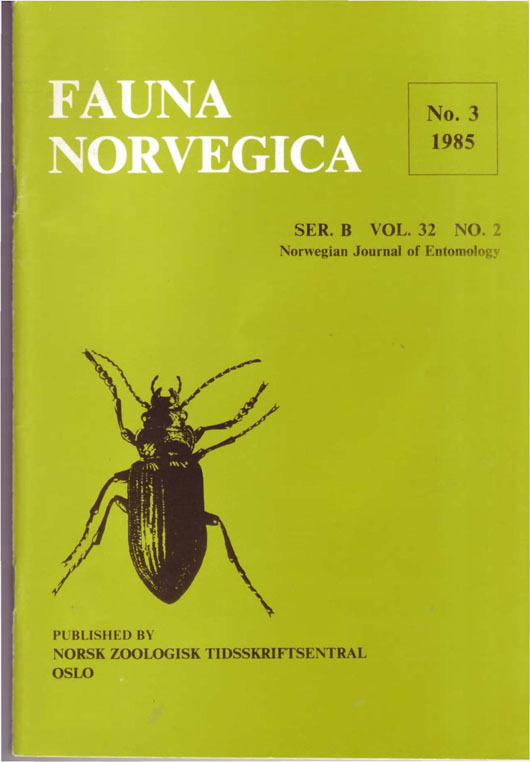 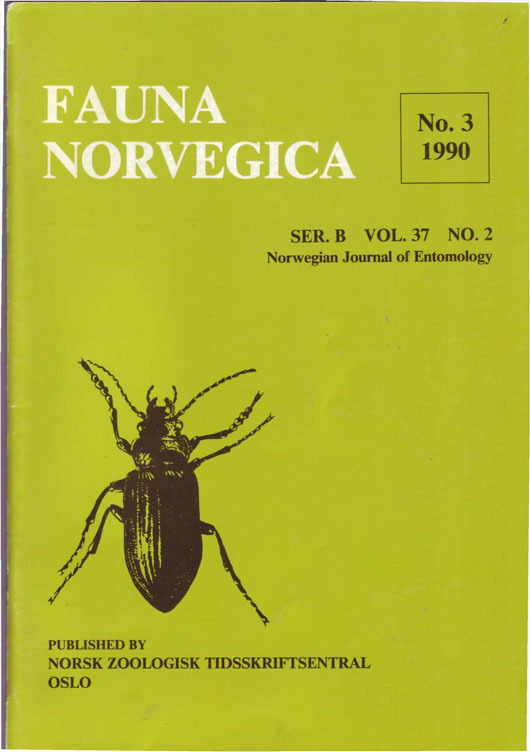 NJE is a continuation of Fauna Norvegica Serie B (1979-1998), Norwegian Journal of Entomology (1975-1978), and Norsk entomologisk Tidsskrift (1921-1974). 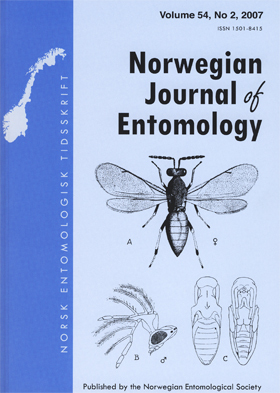 With its long tradition, the journal provides important documentation of the Norwegian fauna over time for future research and management.